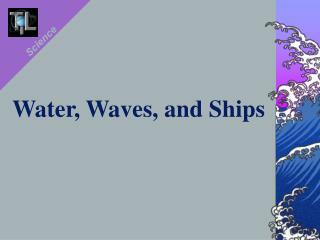 Down to the Sea in Ships: How did They Get Here? 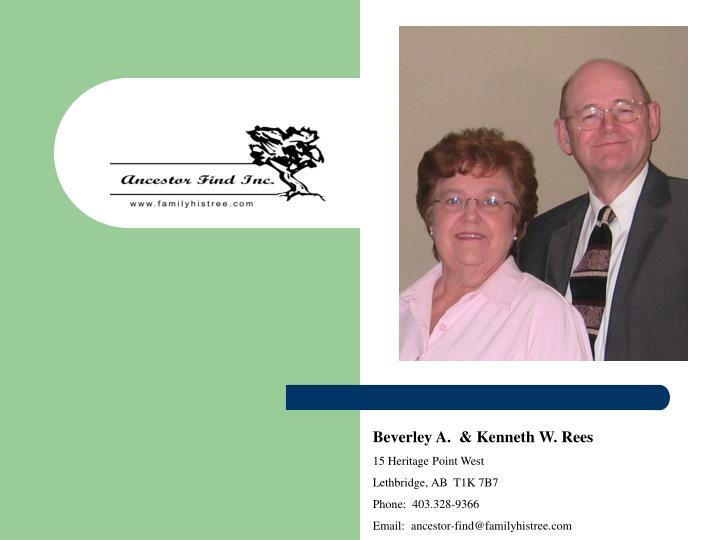 by Bev & Ken Rees. Agenda. 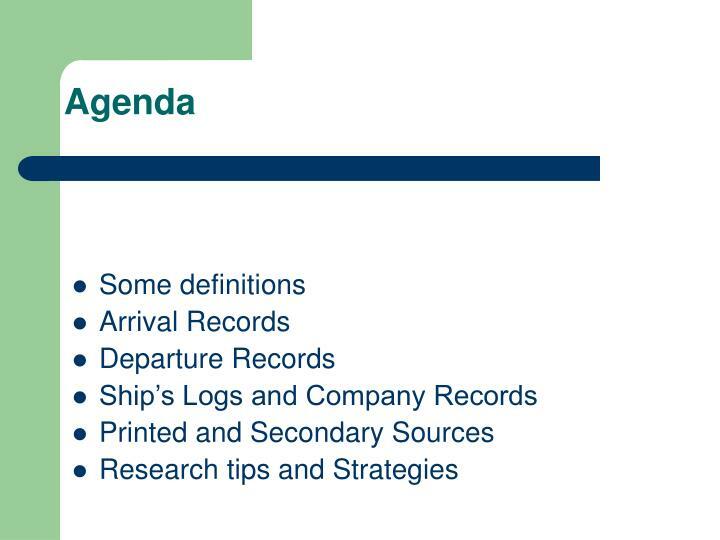 Some definitions Arrival Records Departure Records Ship’s Logs and Company Records Printed and Secondary Sources Research tips and Strategies. 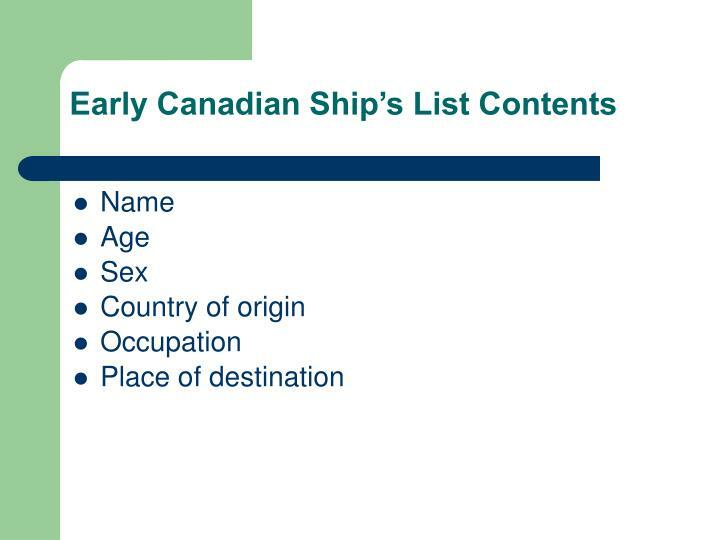 What is a Ship's Passenger List?. 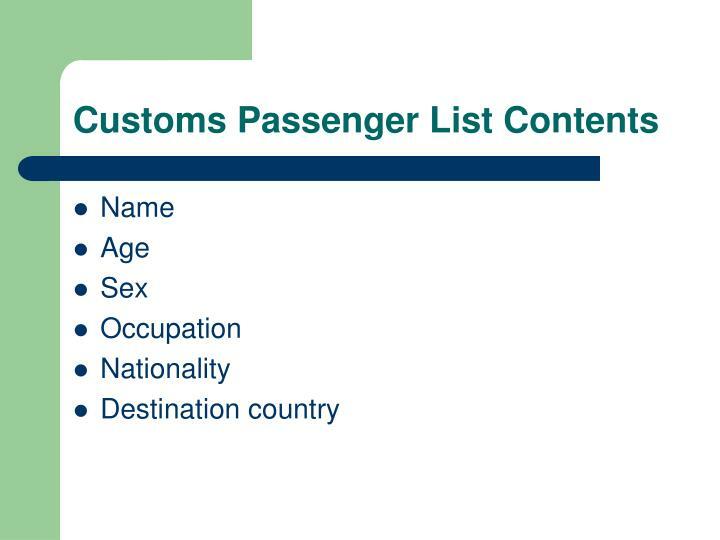 What is a Ship's Passenger List? 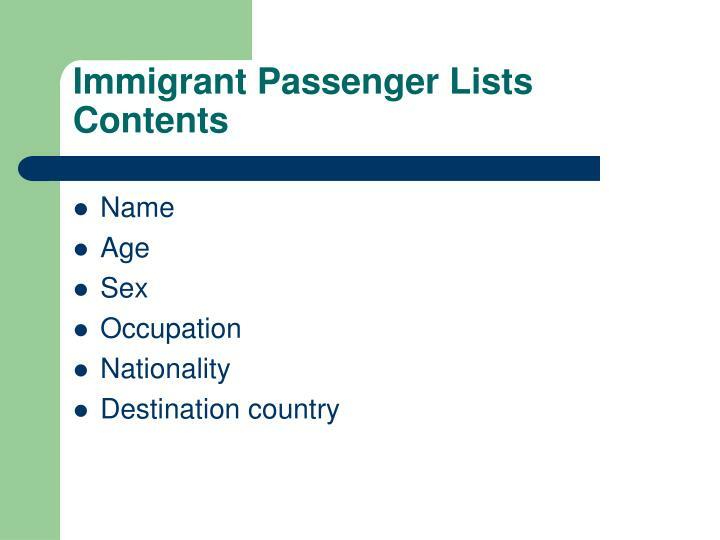 A ship’s passenger list is a list of passengers and crew on a particular ship. 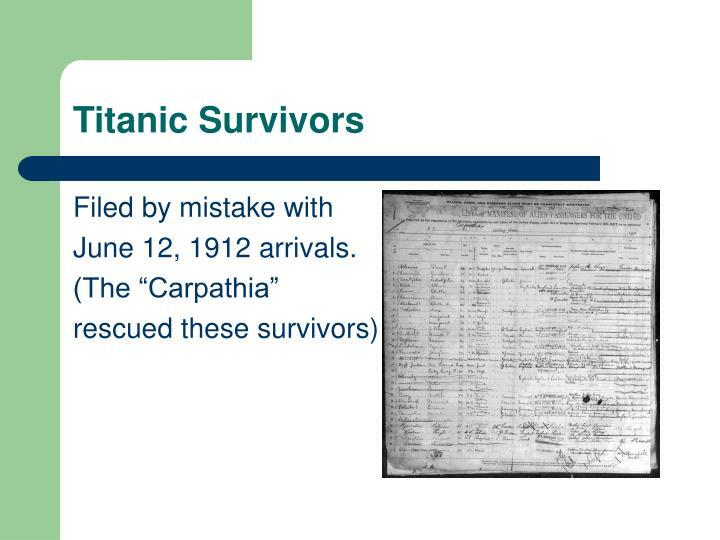 A ship’s passenger list substitute is a list of passengers and crew on a particular ship reconstructed from other sources. 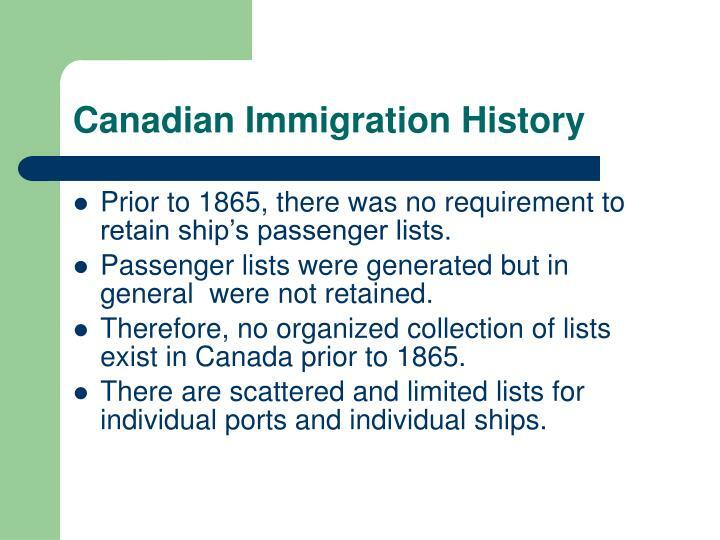 Prior to 1865, there was no requirement to retain ship’s passenger lists. 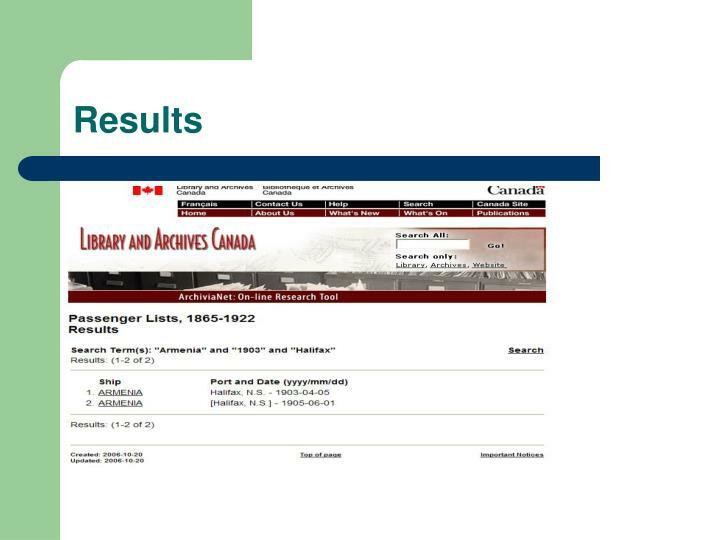 Passenger lists were generated but in general were not retained. 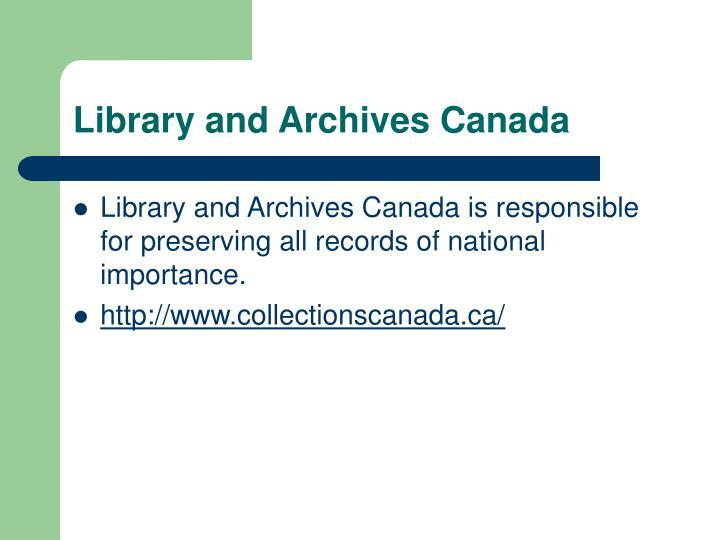 Therefore, no organized collection of lists exist in Canada prior to 1865. 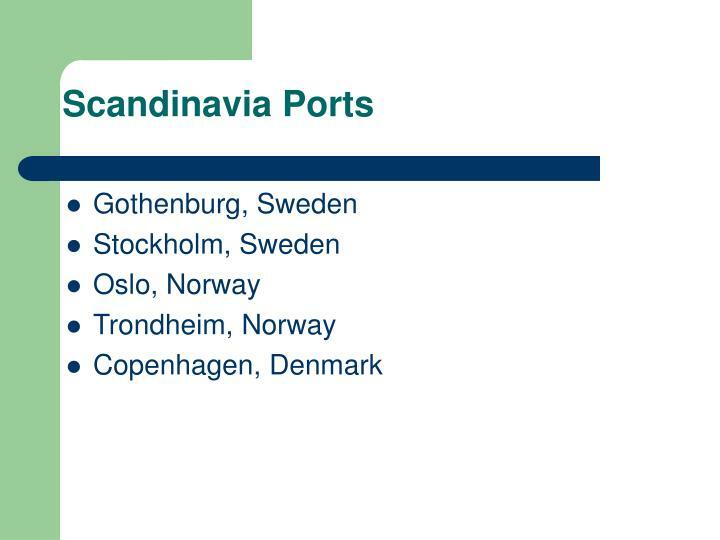 There are scattered and limited lists for individual ports and individual ships. 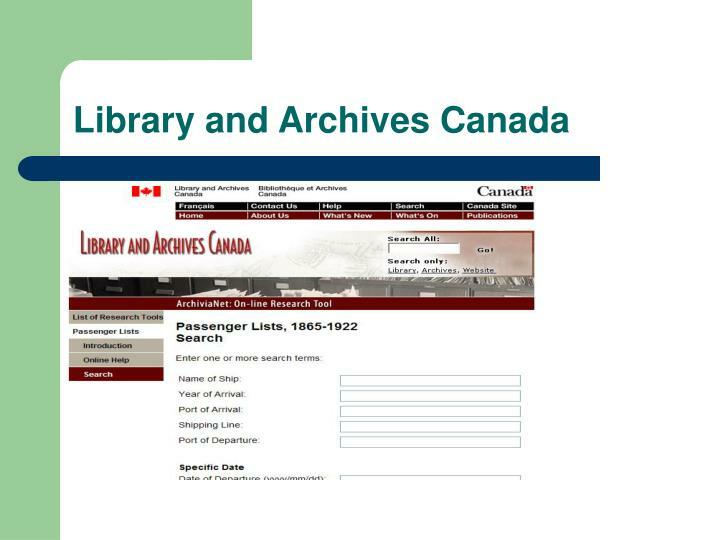 Library and Archives Canada is responsible for preserving all records of national importance. 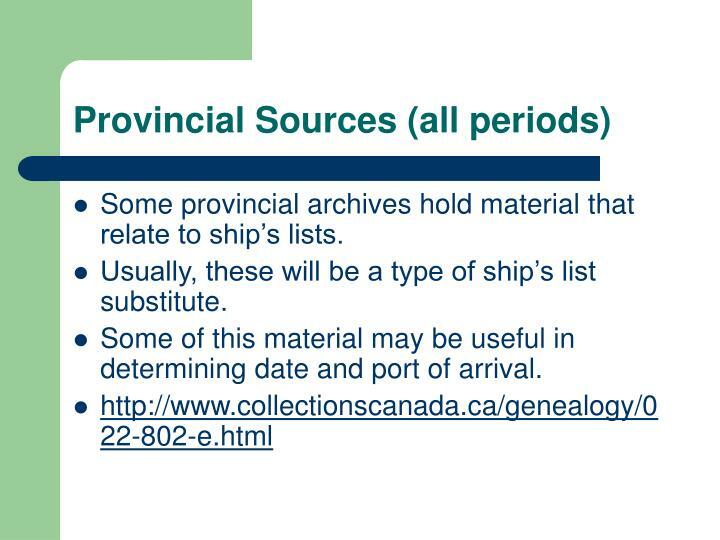 Some provincial archives hold material that relate to ship’s lists. 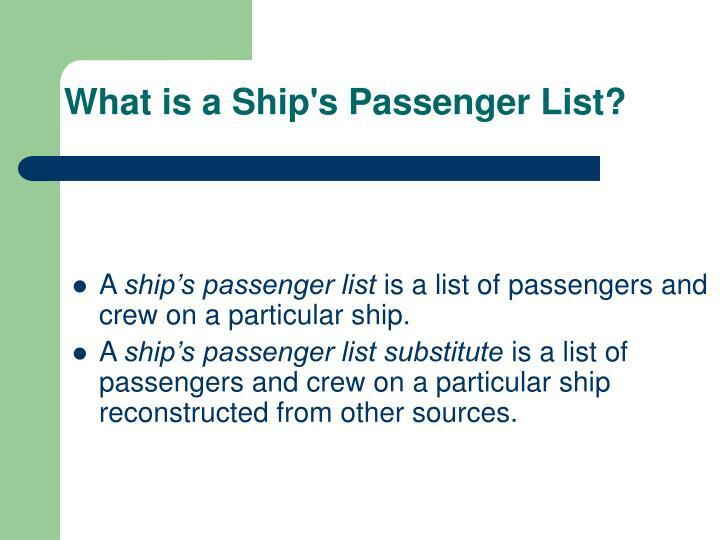 Usually, these will be a type of ship’s list substitute. 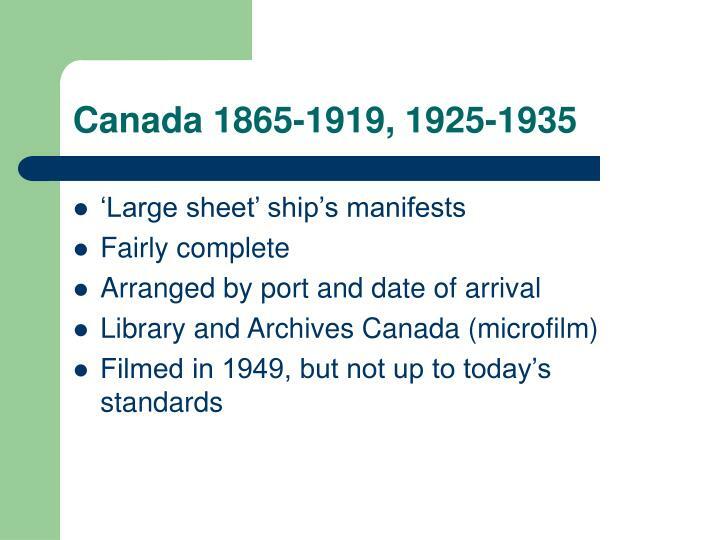 Some of this material may be useful in determining date and port of arrival. 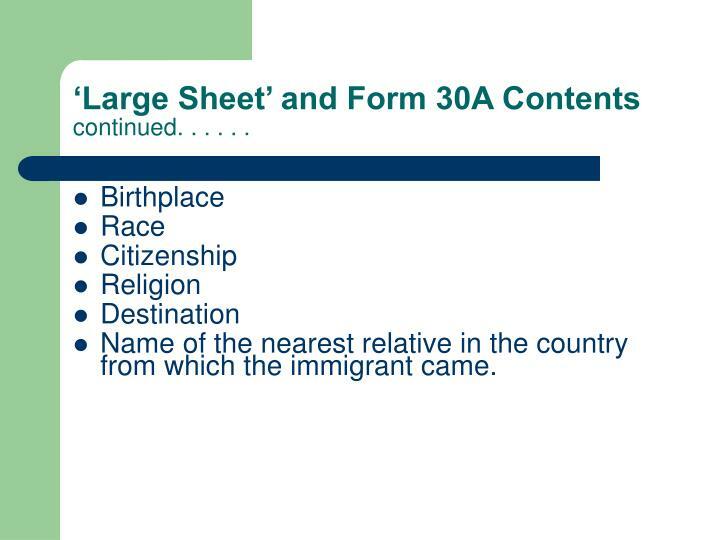 ‘Large Sheet’ and Form 30A Contents continued. . . . . .
Name of the nearest relative in the country from which the immigrant came. 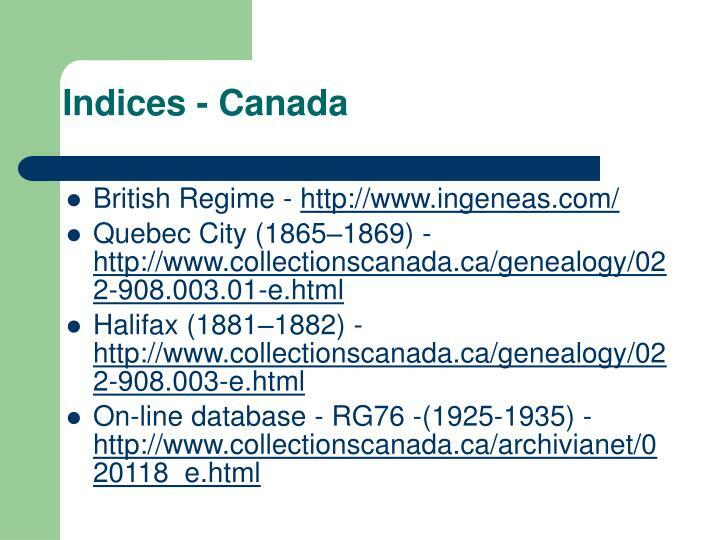 But There are So Few Canadian Indexes! 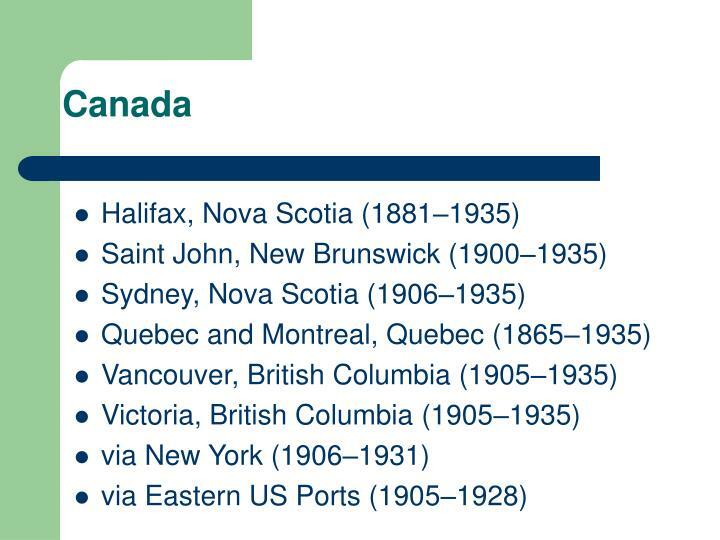 But There are So Few Canadian Indexes! 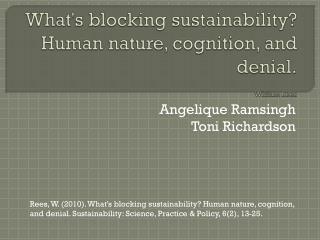 continued. . . . . . 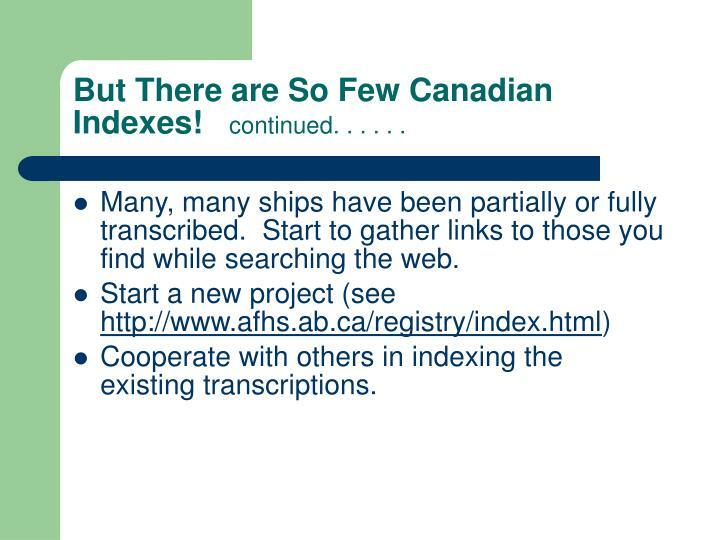 Many, many ships have been partially or fully transcribed. 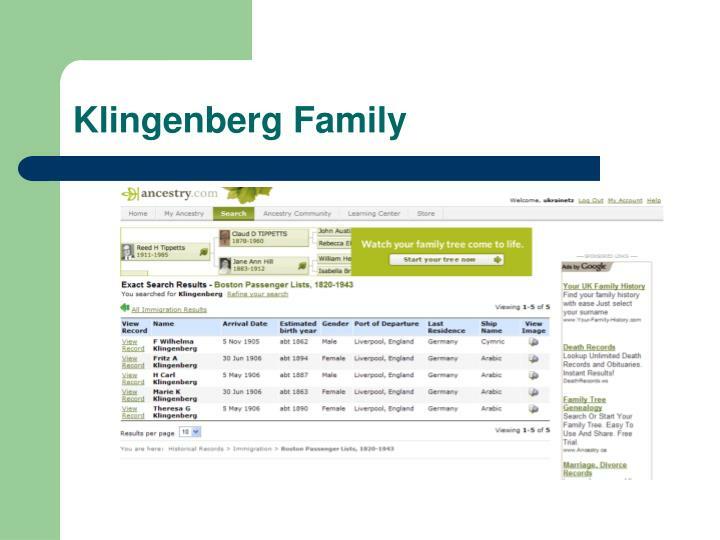 Start to gather links to those you find while searching the web. 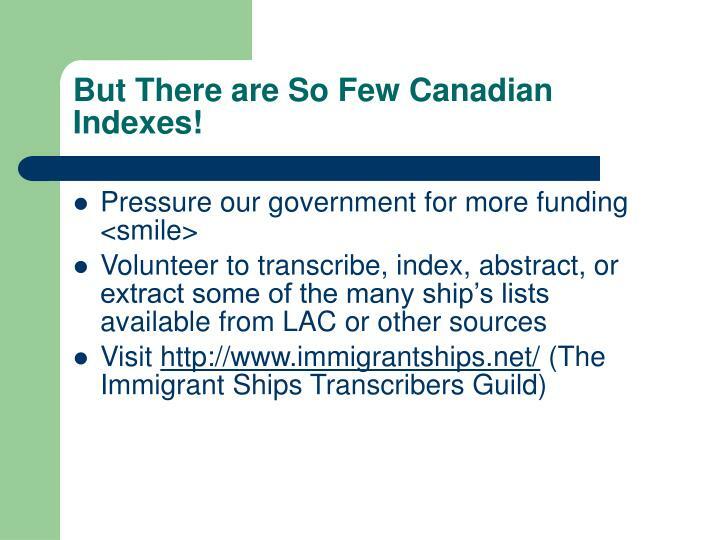 Cooperate with others in indexing the existing transcriptions. 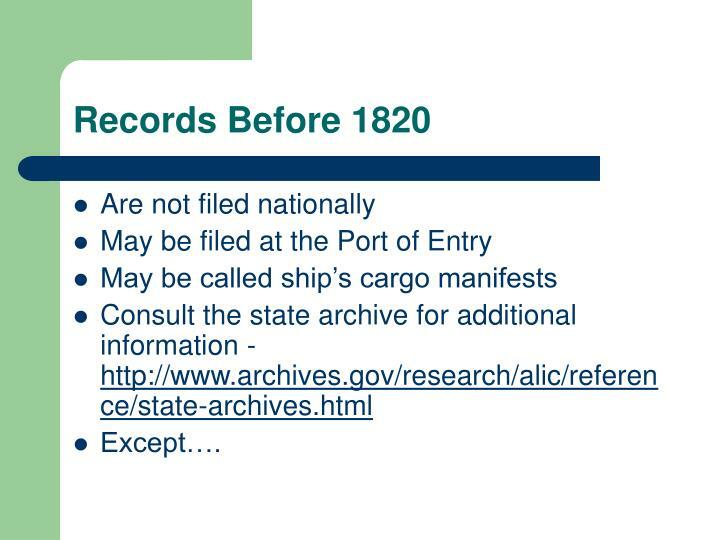 Prior to 1820, there was no requirement to document immigrants into the United States. 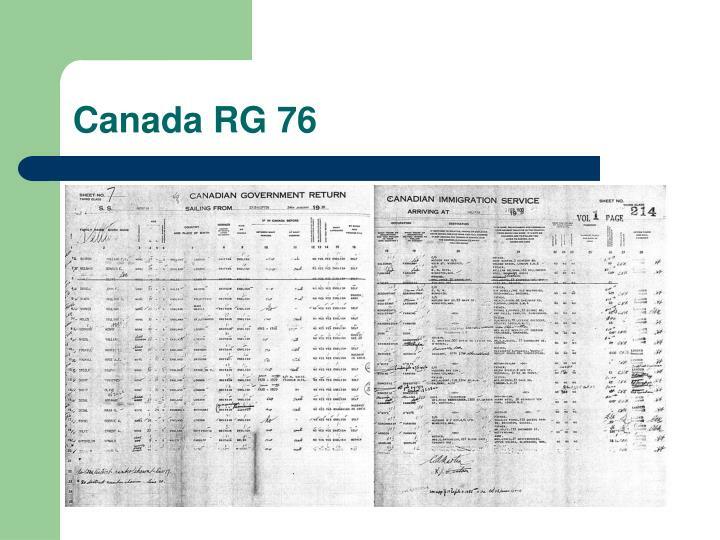 Between 1820 and 1891, the Bureau of Customs was tasked with keeping such records – the Customs Passenger Lists. 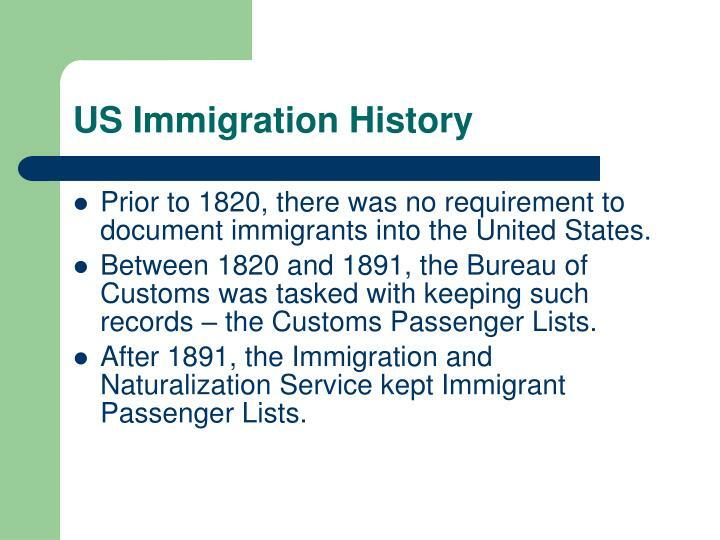 After 1891, the Immigration and Naturalization Service kept Immigrant Passenger Lists. 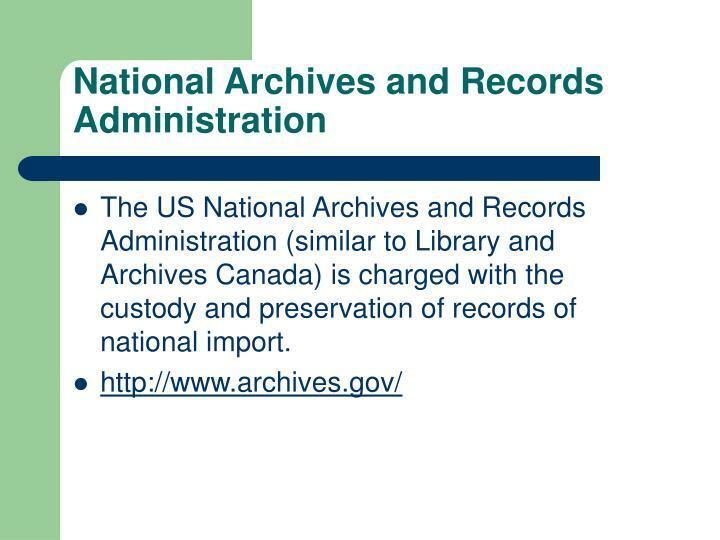 The US National Archives and Records Administration (similar to Library and Archives Canada) is charged with the custody and preservation of records of national import. Prepared in duplicate on board. 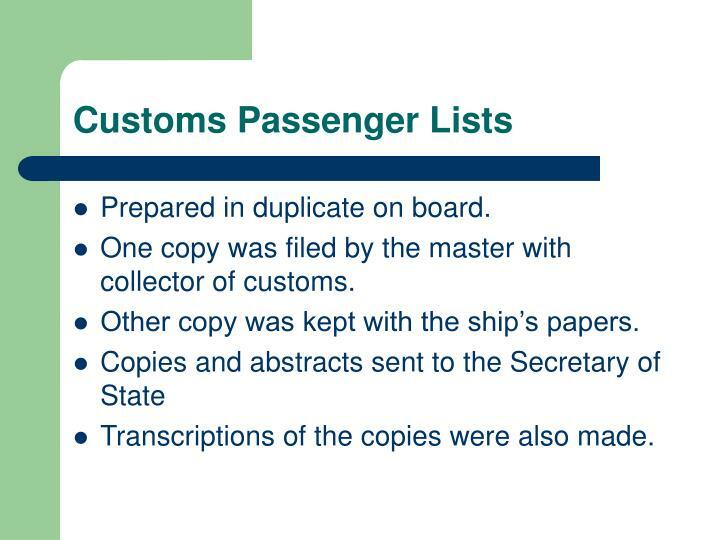 One copy was filed by the master with collector of customs. 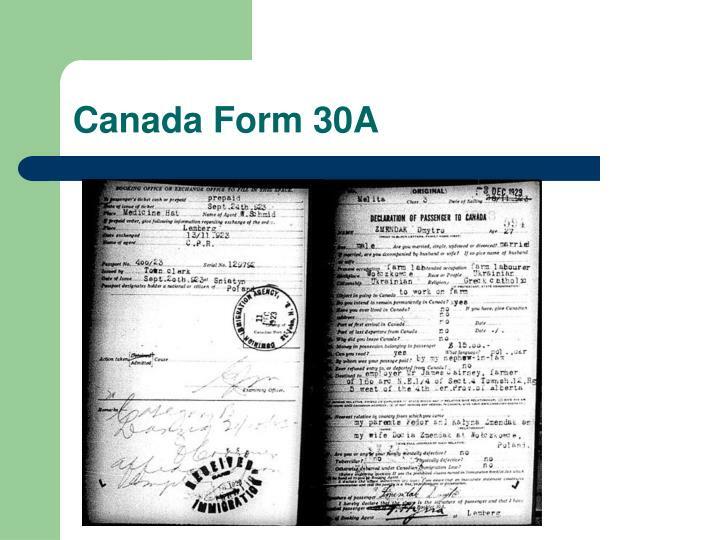 Other copy was kept with the ship’s papers. 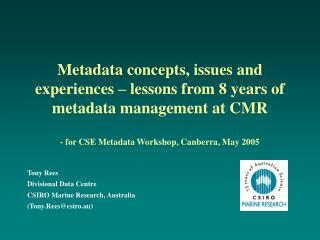 Transcriptions of the copies were also made. 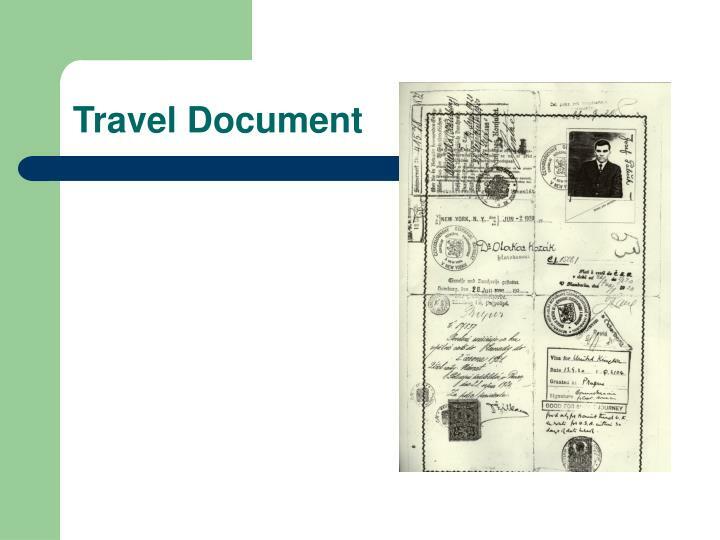 Immigrant passenger lists were kept by the Immigration and Naturalization authorities (and their predecessor organizations). 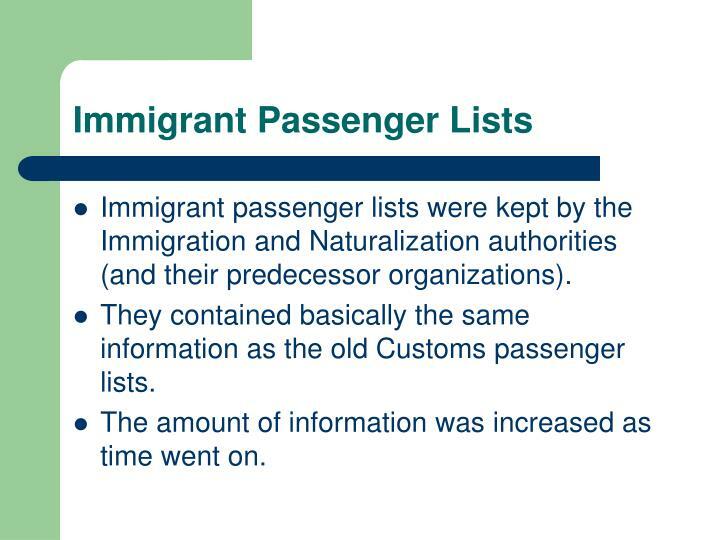 They contained basically the same information as the old Customs passenger lists. The amount of information was increased as time went on. 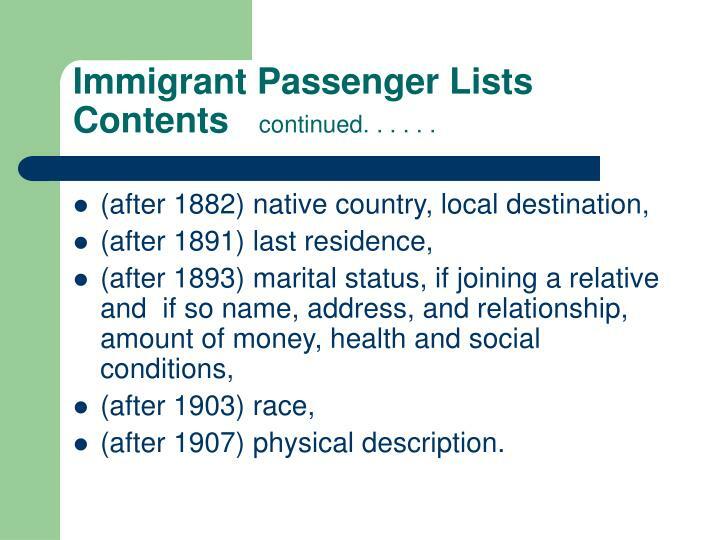 Immigrant Passenger Lists Contents continued. . . . . .
Records Before 1820 continued. . . . . . 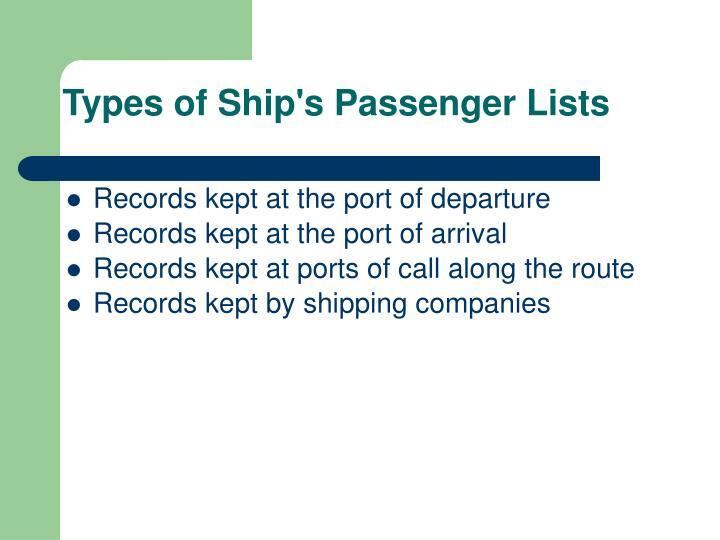 The ship’s lists are divided into direct and indirect lists. 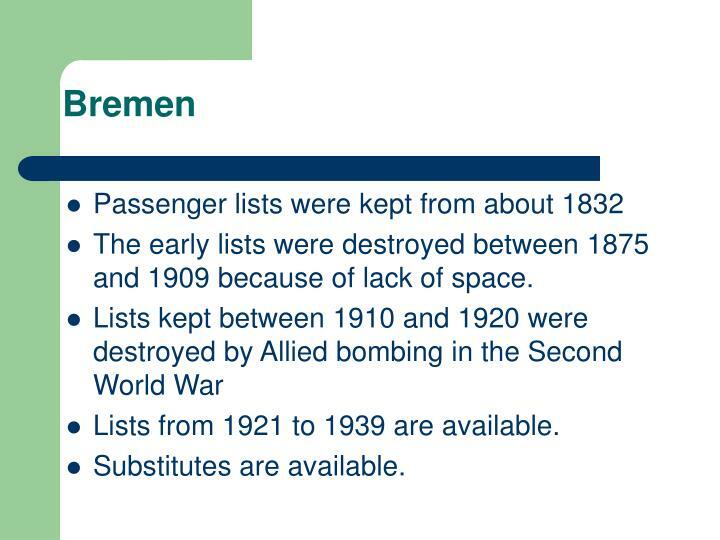 The early lists were destroyed between 1875 and 1909 because of lack of space. 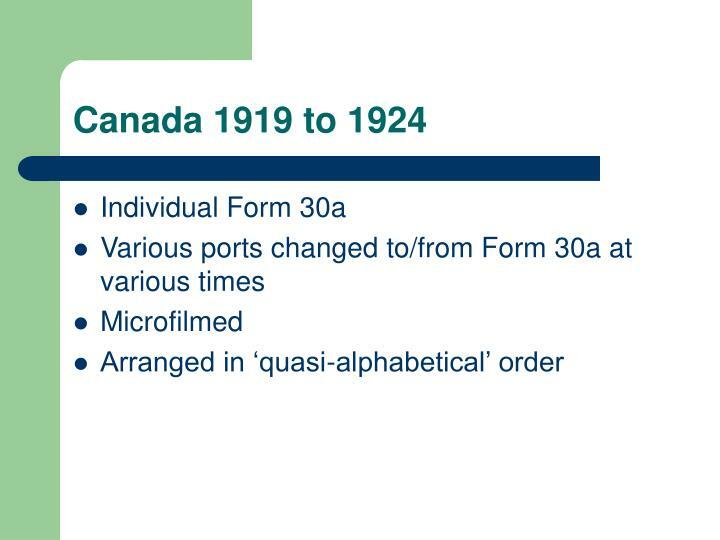 Lists from 1921 to 1939 are available. 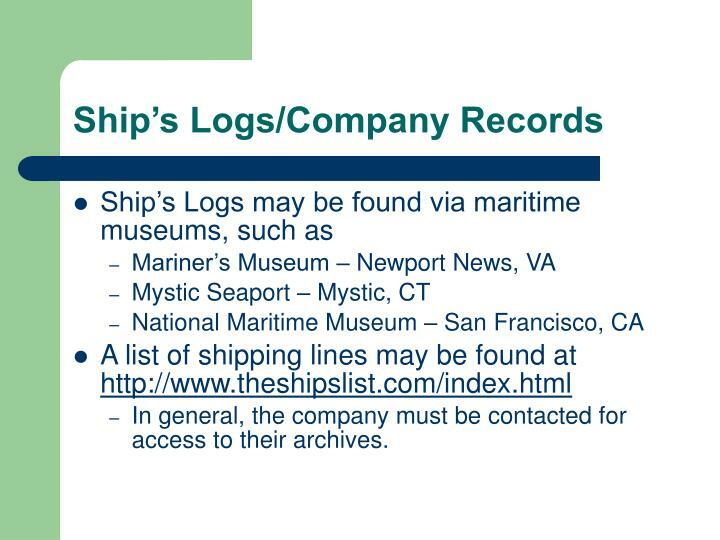 In general, the company must be contacted for access to their archives. 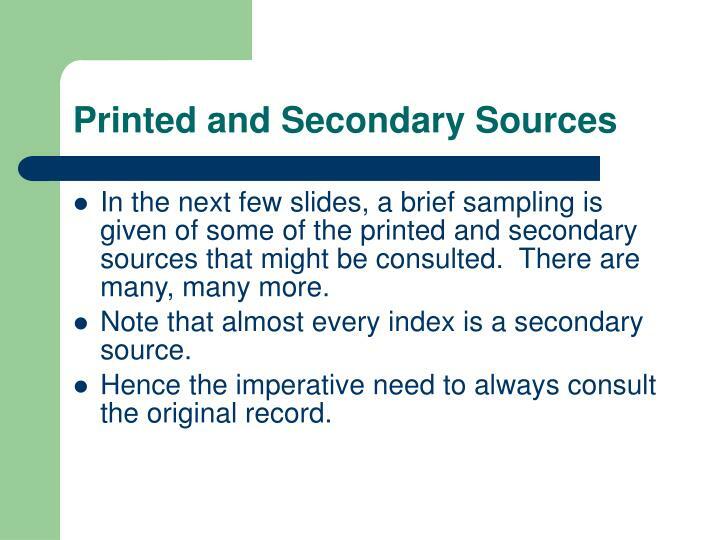 In the next few slides, a brief sampling is given of some of the printed and secondary sources that might be consulted. There are many, many more. 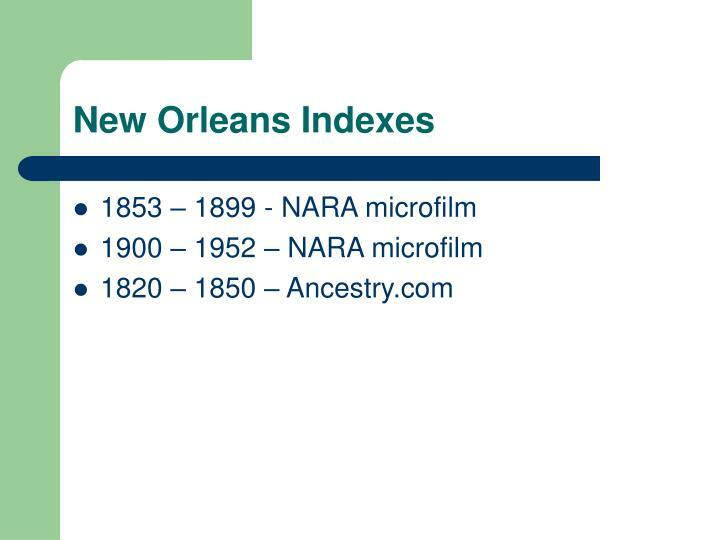 Note that almost every index is a secondary source. 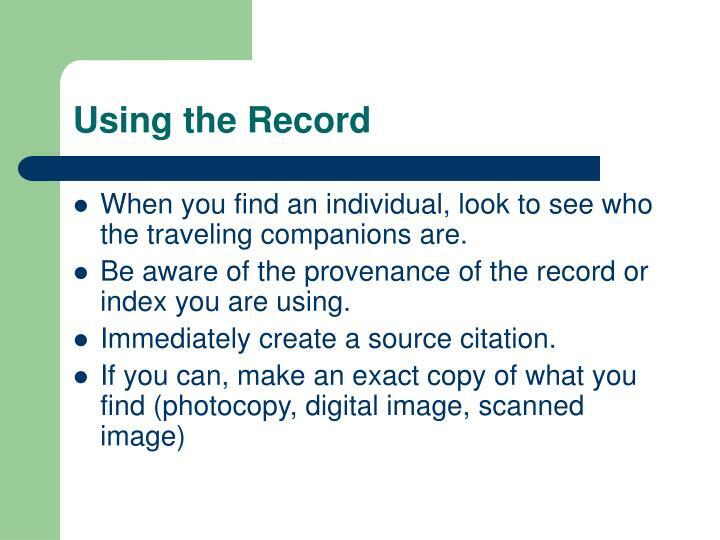 Hence the imperative need to always consult the original record. 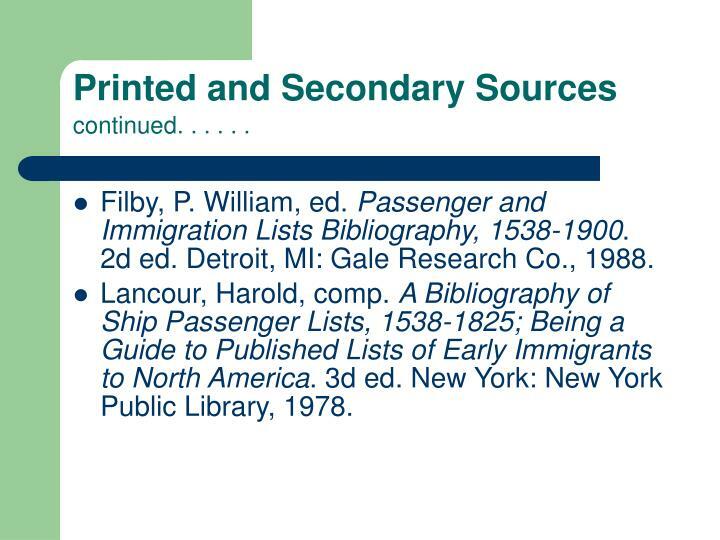 Printed and Secondary Sourcescontinued. . . . . .
Filby, P. William, ed. 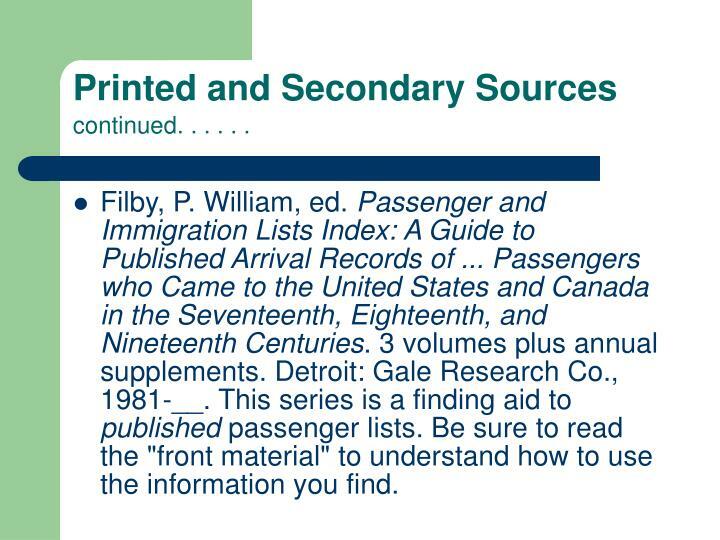 Passenger and Immigration Lists Index: A Guide to Published Arrival Records of ... Passengers who Came to the United States and Canada in the Seventeenth, Eighteenth, and Nineteenth Centuries. 3 volumes plus annual supplements. Detroit: Gale Research Co., 1981-__. 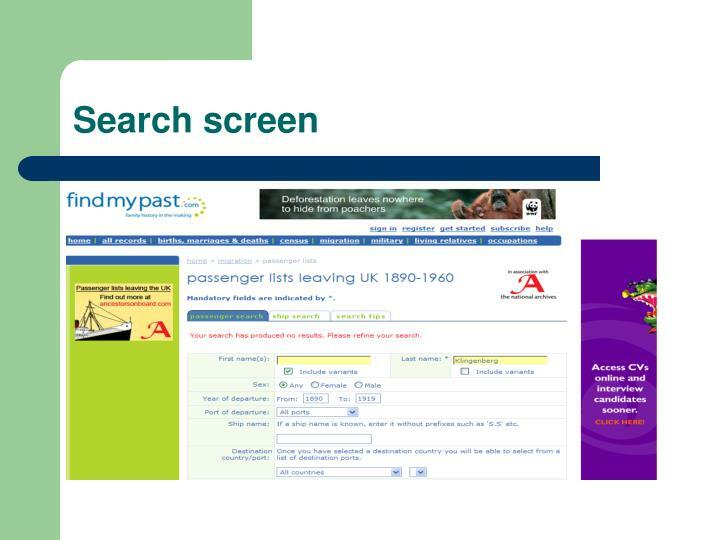 This series is a finding aid to published passenger lists. 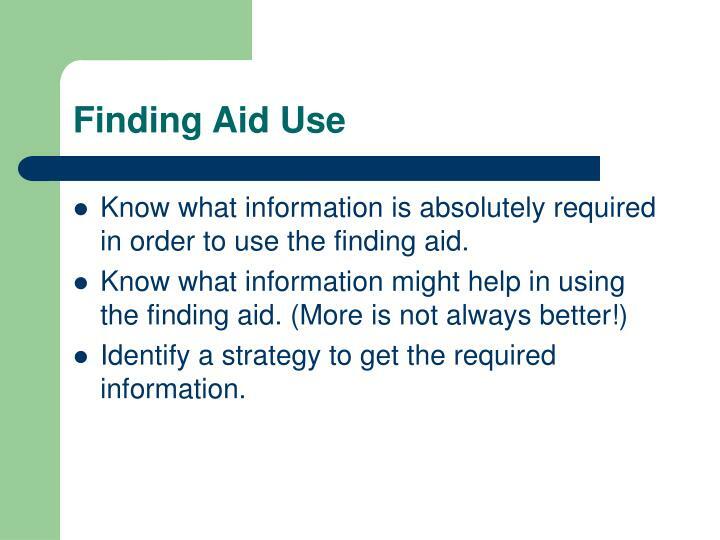 Be sure to read the "front material" to understand how to use the information you find. 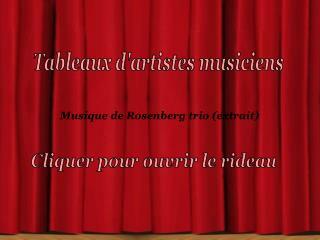 Filby, P. William, ed. 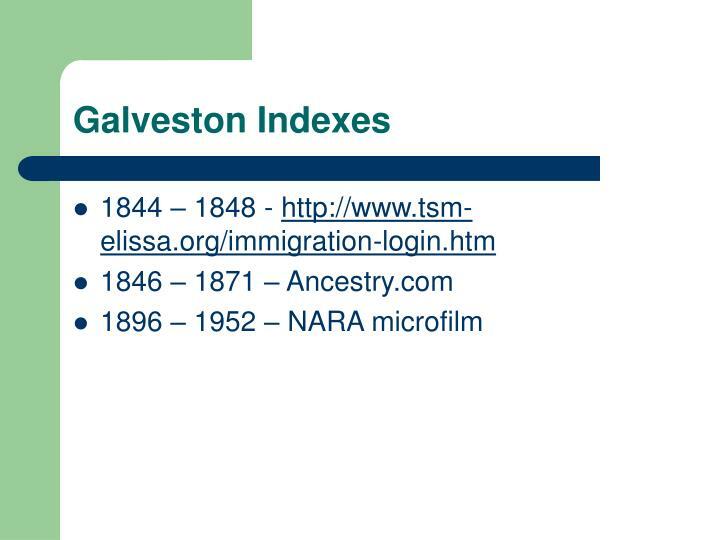 Passenger and Immigration Lists Bibliography, 1538-1900. 2d ed. Detroit, MI: Gale Research Co., 1988. Lancour, Harold, comp. 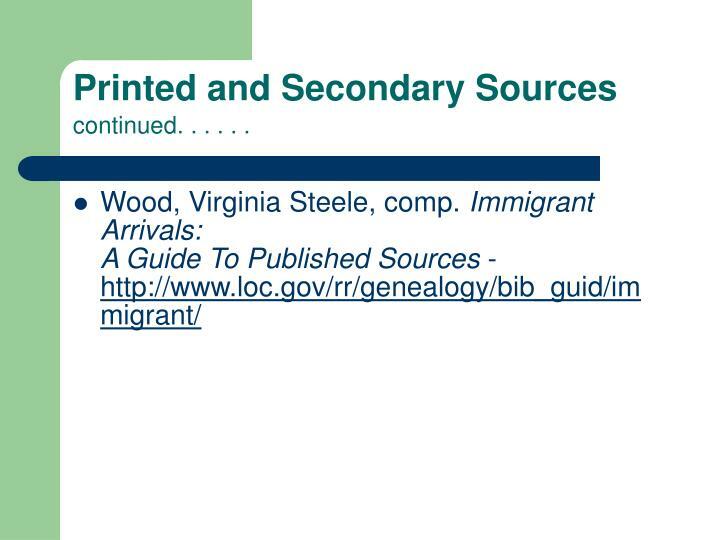 A Bibliography of Ship Passenger Lists, 1538-1825; Being a Guide to Published Lists of Early Immigrants to North America. 3d ed. New York: New York Public Library, 1978. Boyer, Carl. 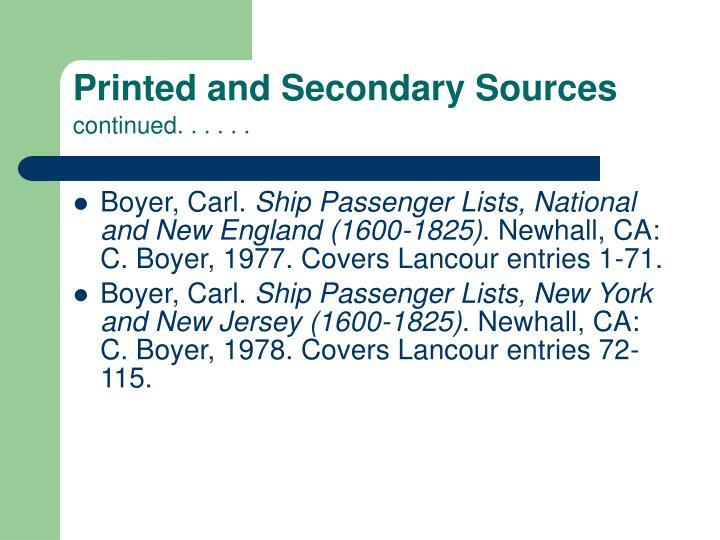 Ship Passenger Lists, National and New England (1600-1825). Newhall, CA: C. Boyer, 1977. Covers Lancour entries 1-71. Boyer, Carl. 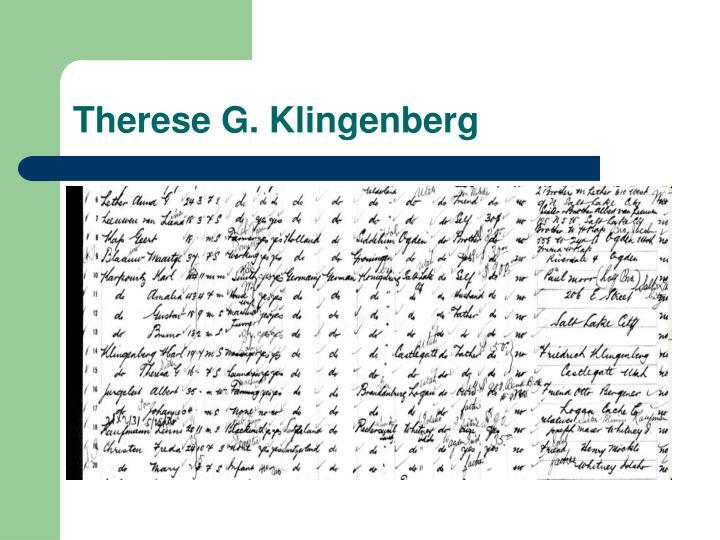 Ship Passenger Lists, New York and New Jersey (1600-1825). Newhall, CA: C. Boyer, 1978. 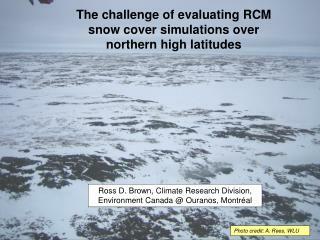 Covers Lancour entries 72-115. 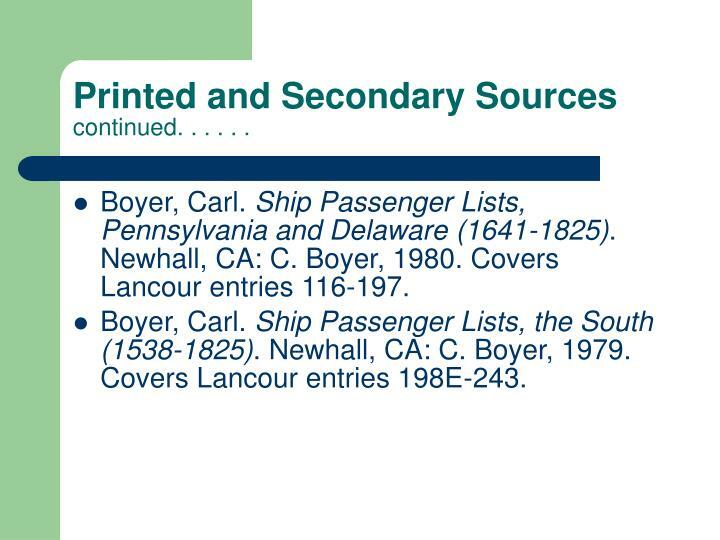 Printed and Secondary Sources continued. . . . . .
Boyer, Carl. 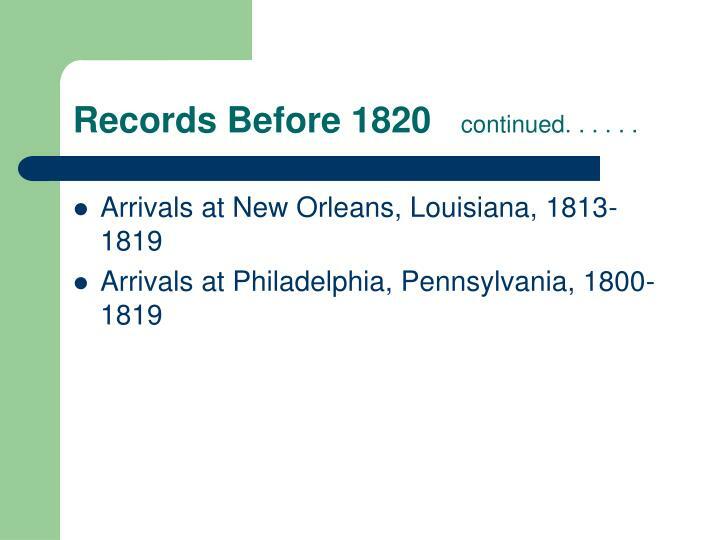 Ship Passenger Lists, Pennsylvania and Delaware (1641-1825). Newhall, CA: C. Boyer, 1980. Covers Lancour entries 116-197. Boyer, Carl. 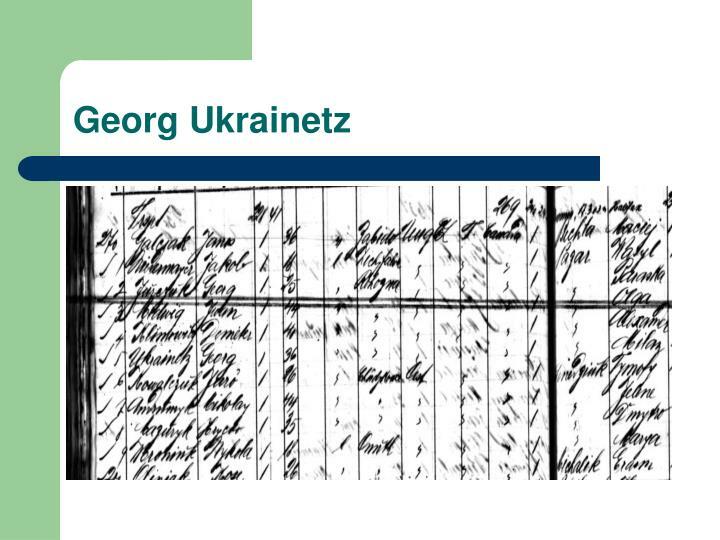 Ship Passenger Lists, the South (1538-1825). Newhall, CA: C. Boyer, 1979. Covers Lancour entries 198E-243. 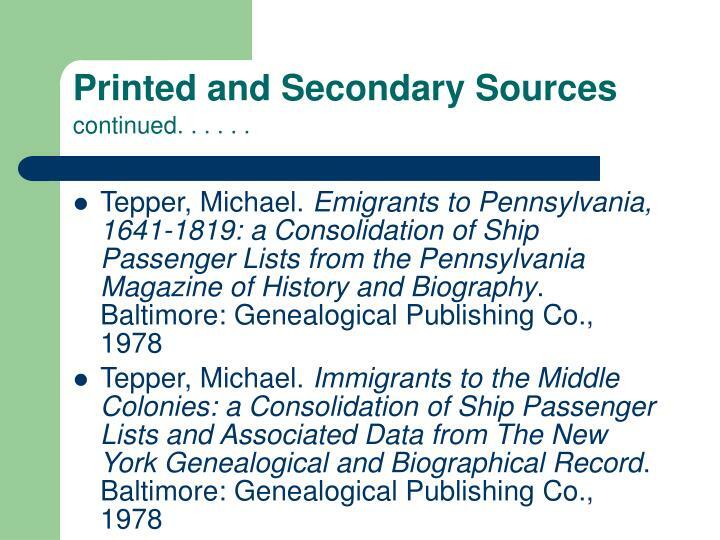 Tepper, Michael. 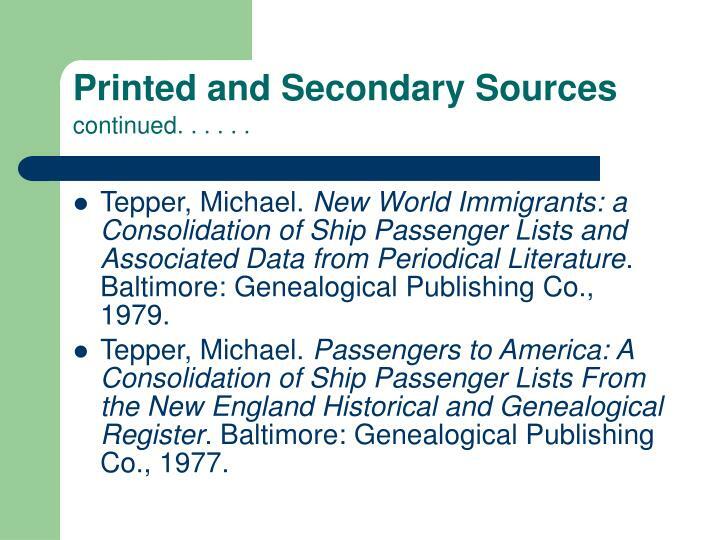 New World Immigrants: a Consolidation of Ship Passenger Lists and Associated Data from Periodical Literature. 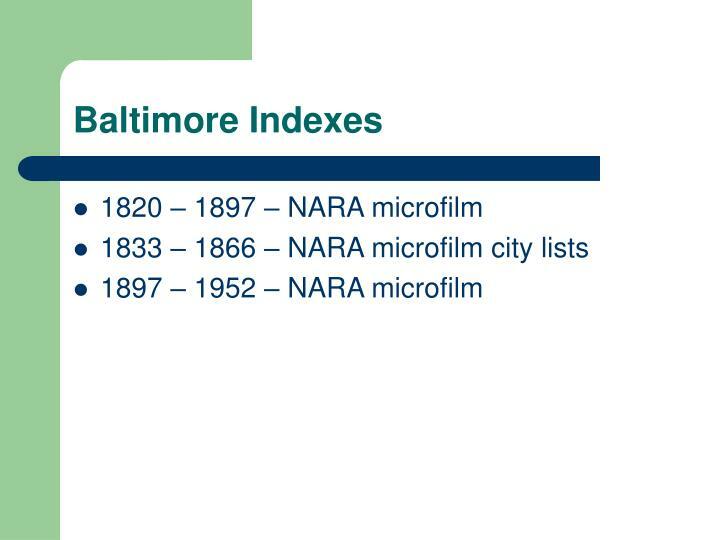 Baltimore: Genealogical Publishing Co., 1979. Tepper, Michael. 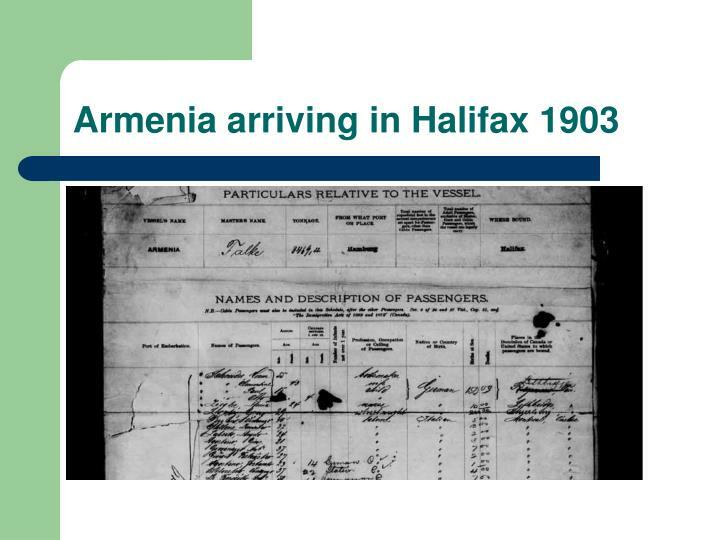 Passengers to America: A Consolidation of Ship Passenger Lists From the New England Historical and Genealogical Register. Baltimore: Genealogical Publishing Co., 1977. A dictionary of immigrants to Nova Scotia, by Leonard H. Smith, Jr, Owl Books, ca. 1985. 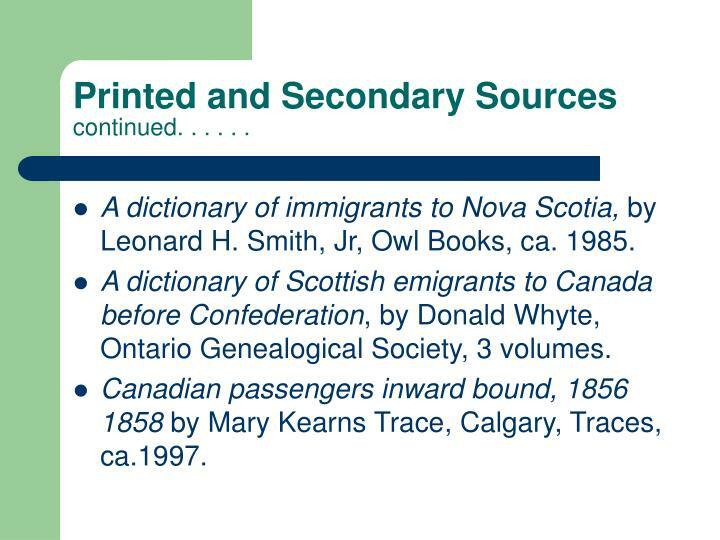 A dictionary of Scottish emigrants to Canada before Confederation, by Donald Whyte, Ontario Genealogical Society, 3 volumes. 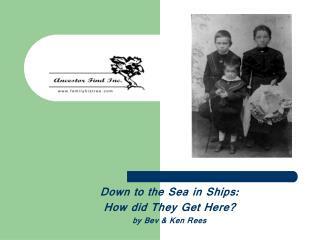 Canadian passengers inward bound, 1856 1858 by Mary Kearns Trace, Calgary, Traces, ca.1997. 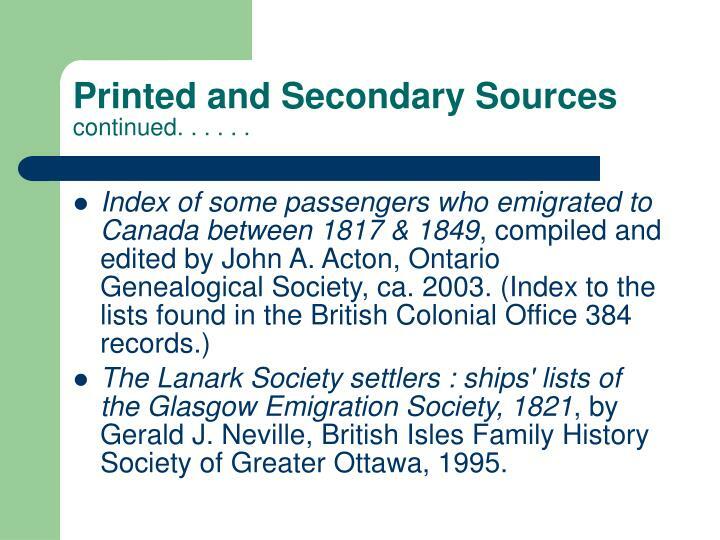 The Lanark Society settlers : ships' lists of the Glasgow Emigration Society, 1821, by Gerald J. Neville, British Isles Family History Society of Greater Ottawa, 1995. 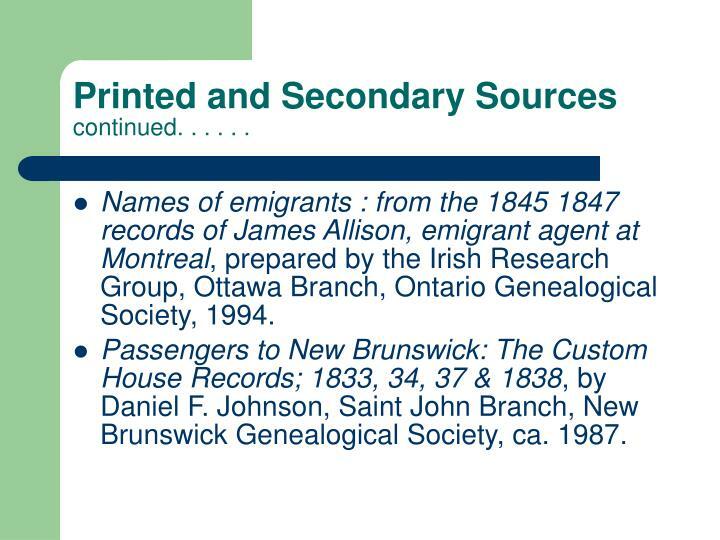 Names of emigrants : from the 1845 1847 records of James Allison, emigrant agent at Montreal, prepared by the Irish Research Group, Ottawa Branch, Ontario Genealogical Society, 1994. 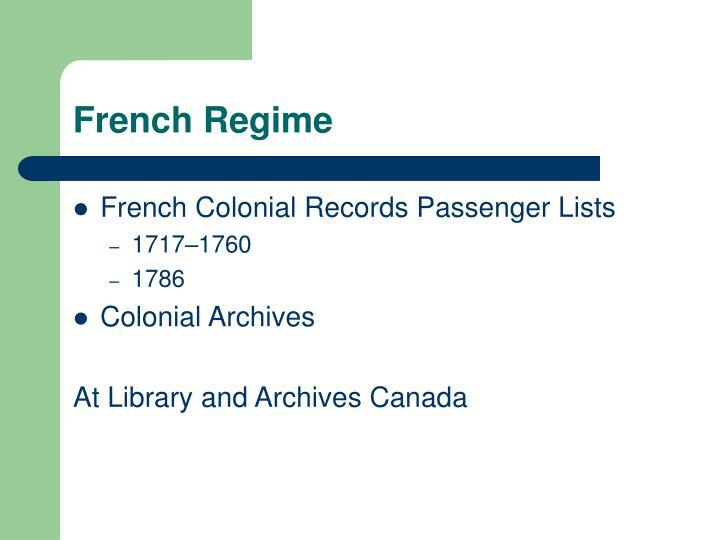 Passengers to New Brunswick: The Custom House Records; 1833, 34, 37 & 1838, by Daniel F. Johnson, Saint John Branch, New Brunswick Genealogical Society, ca. 1987. 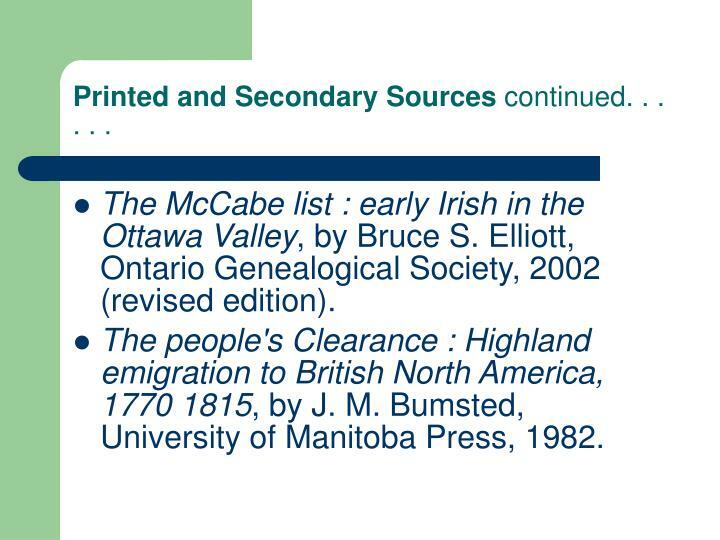 The McCabe list : early Irish in the Ottawa Valley, by Bruce S. Elliott, Ontario Genealogical Society, 2002 (revised edition). 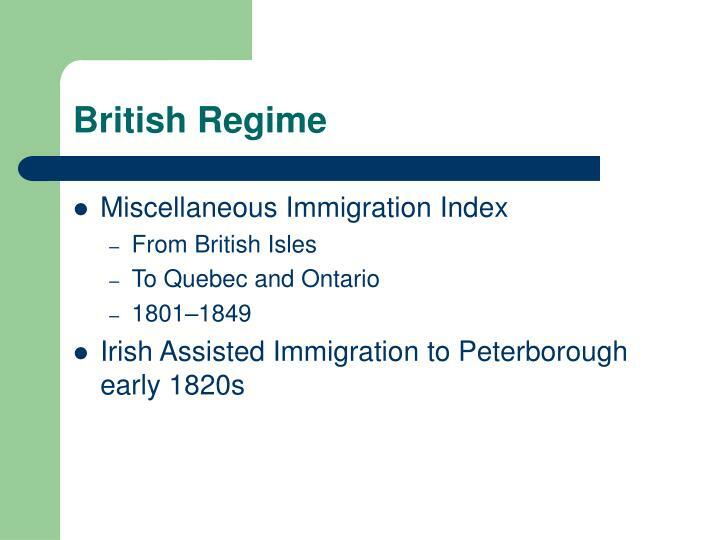 The people's Clearance : Highland emigration to British North America, 1770 1815, by J. M. Bumsted, University of Manitoba Press, 1982. 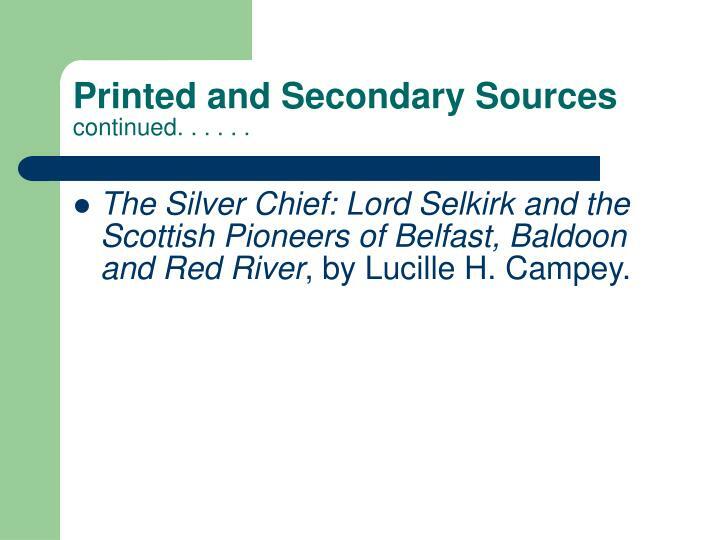 The Silver Chief: Lord Selkirk and the Scottish Pioneers of Belfast, Baldoon and Red River, by Lucille H. Campey. 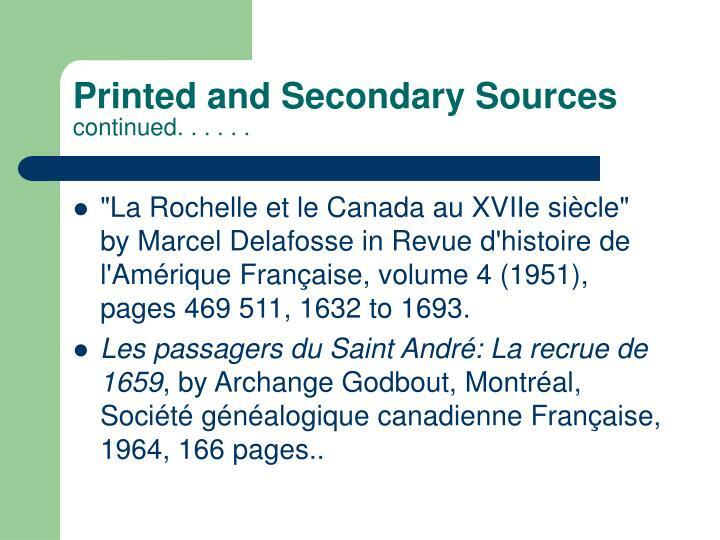 "La Rochelle et le Canada au XVIIe siècle" by Marcel Delafosse in Revue d'histoire de l'Amérique Française, volume 4 (1951), pages 469 511, 1632 to 1693. 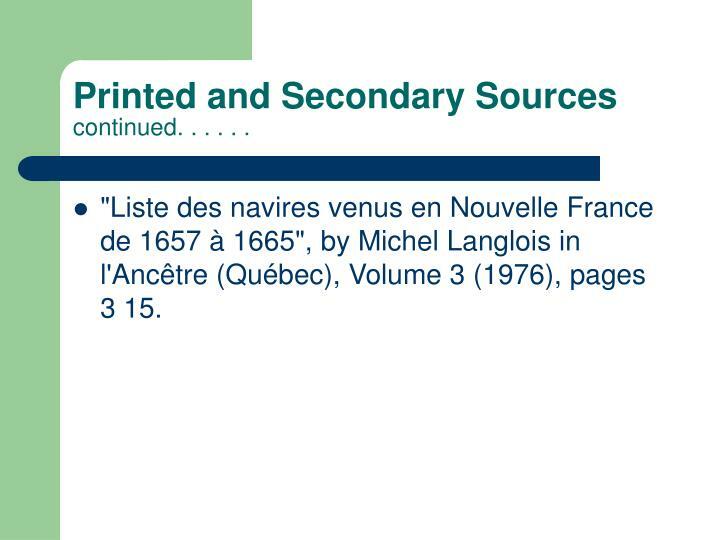 Les passagers du Saint André: La recrue de 1659, by Archange Godbout, Montréal, Société généalogique canadienne Française, 1964, 166 pages..
"Liste des navires venus en Nouvelle France de 1657 à 1665", by Michel Langlois in l'Ancêtre (Québec), Volume 3 (1976), pages 3 15. 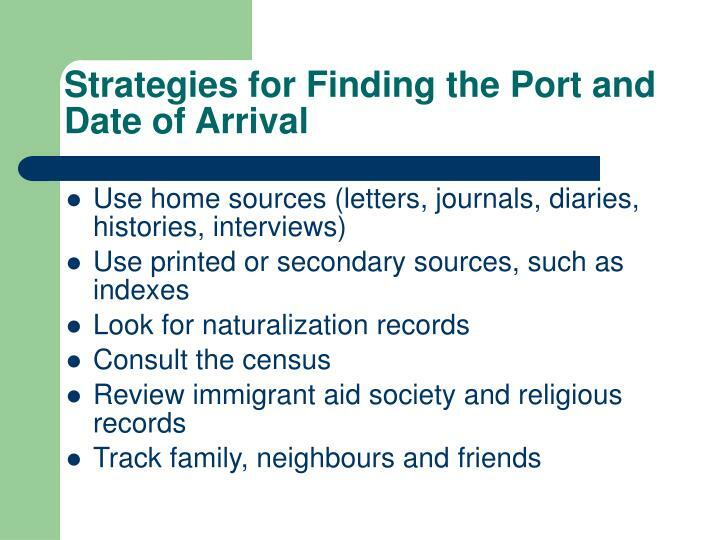 Use this strategy when you know the exact date and port of arrival. 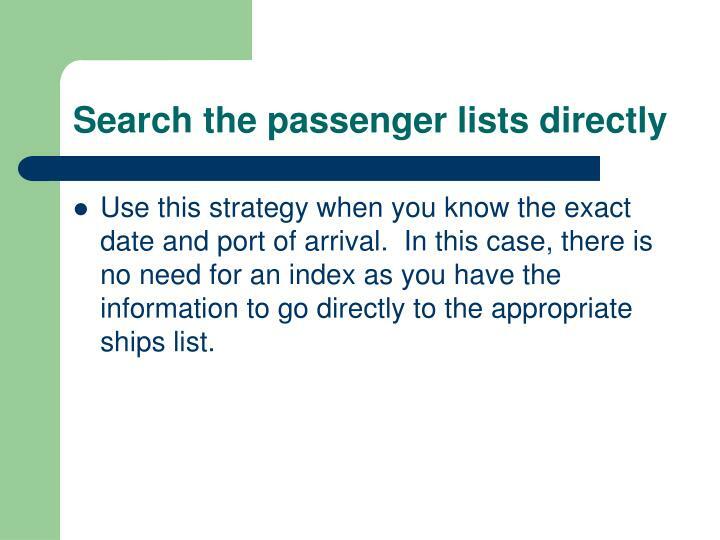 In this case, there is no need for an index as you have the information to go directly to the appropriate ships list. 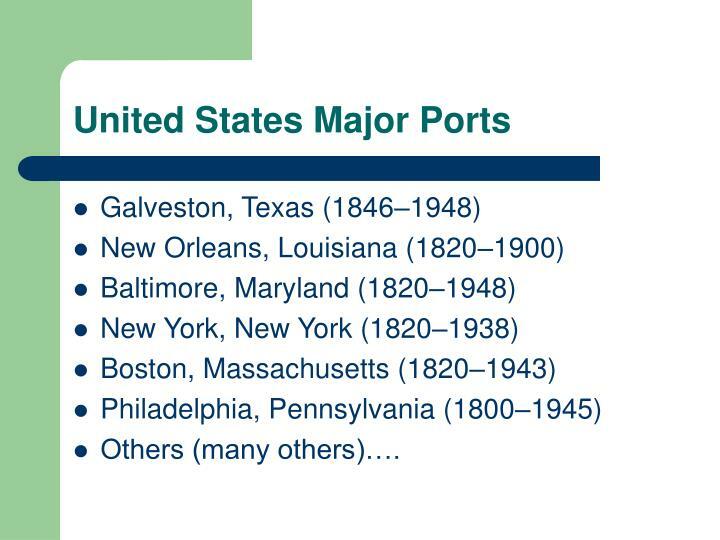 A great many of the US ports have a name index for arriving passengers. 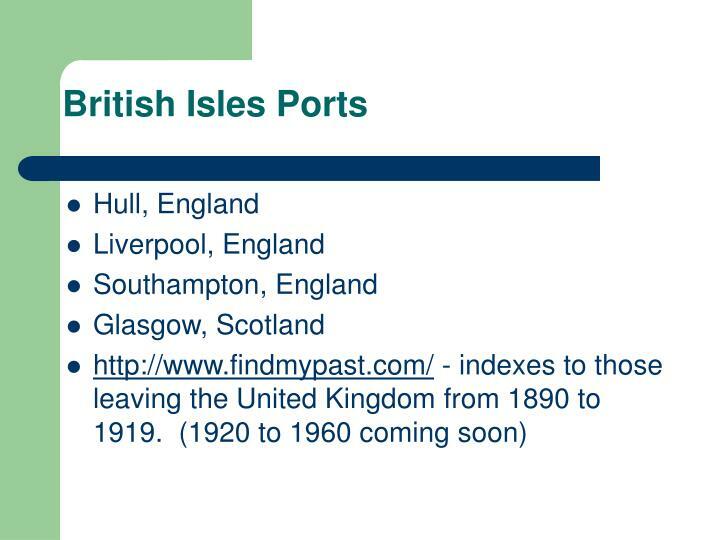 Where possible, use the index to locate the arrival record for your ancestor. 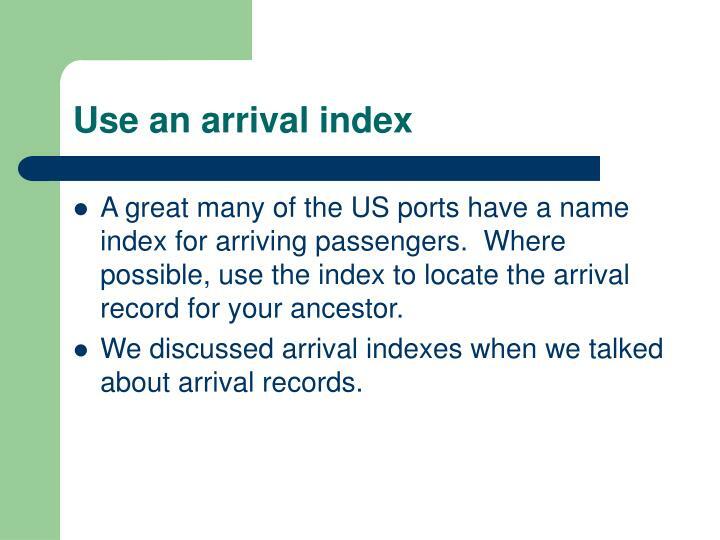 We discussed arrival indexes when we talked about arrival records. 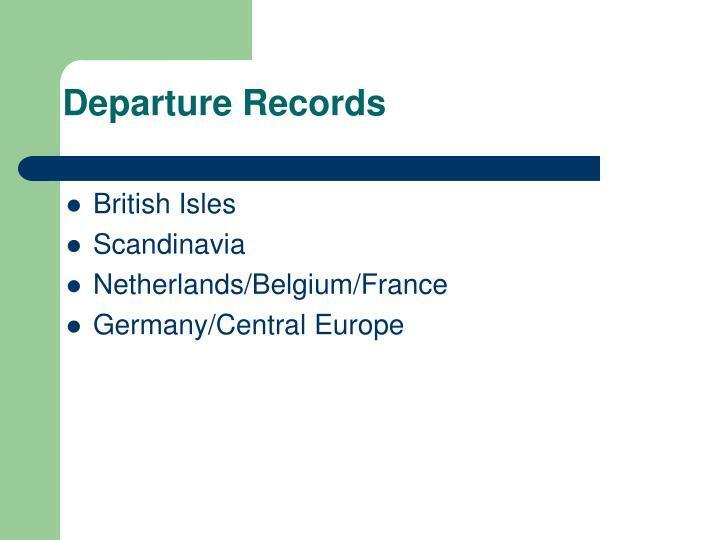 A few of the European and British ports have published indexes for departing passengers. 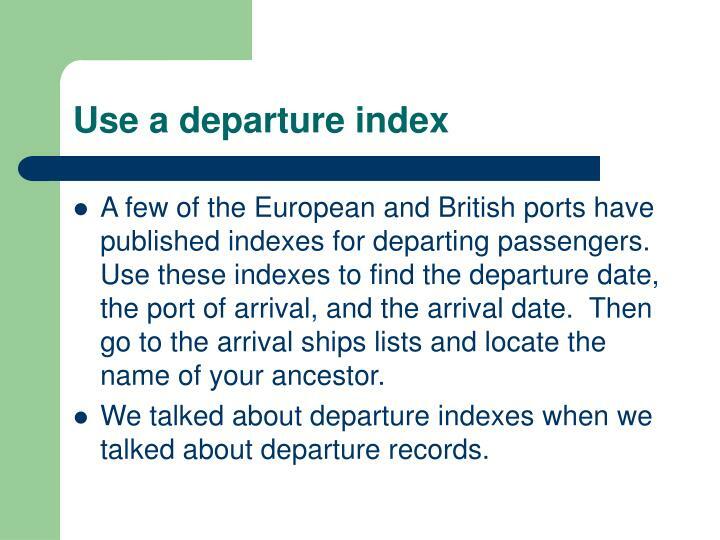 Use these indexes to find the departure date, the port of arrival, and the arrival date. 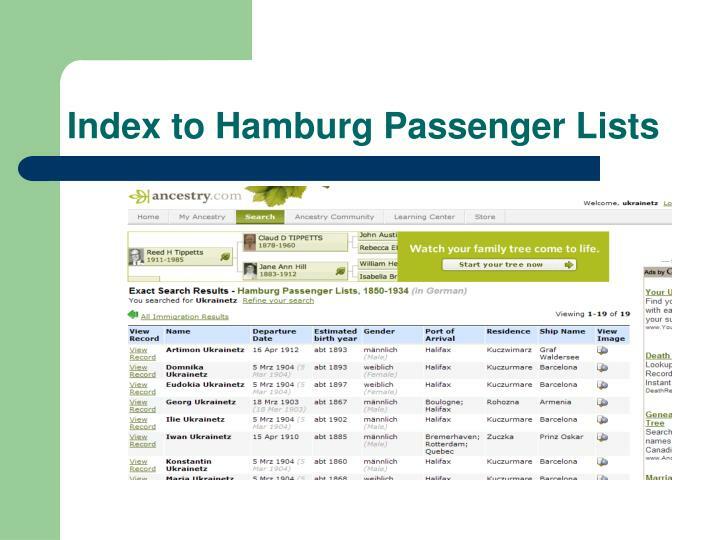 Then go to the arrival ships lists and locate the name of your ancestor. 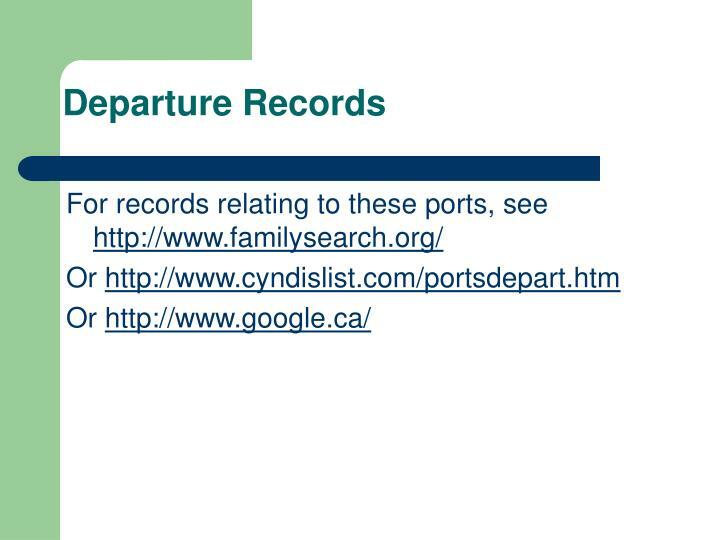 We talked about departure indexes when we talked about departure records. 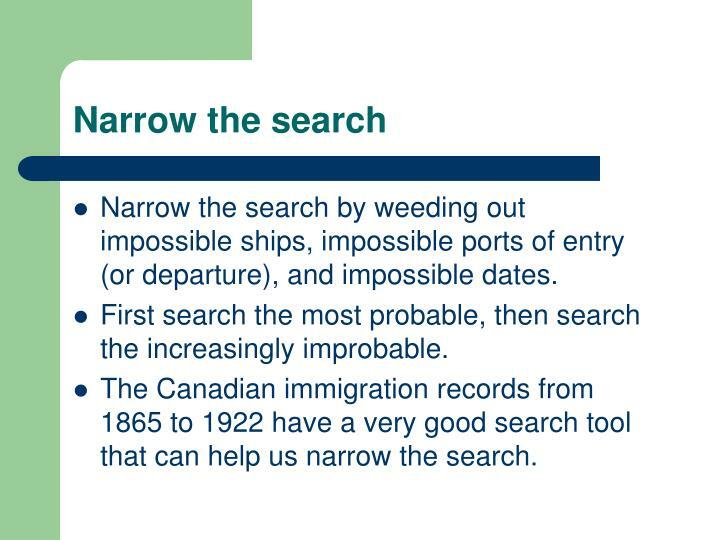 Narrow the search by weeding out impossible ships, impossible ports of entry (or departure), and impossible dates. 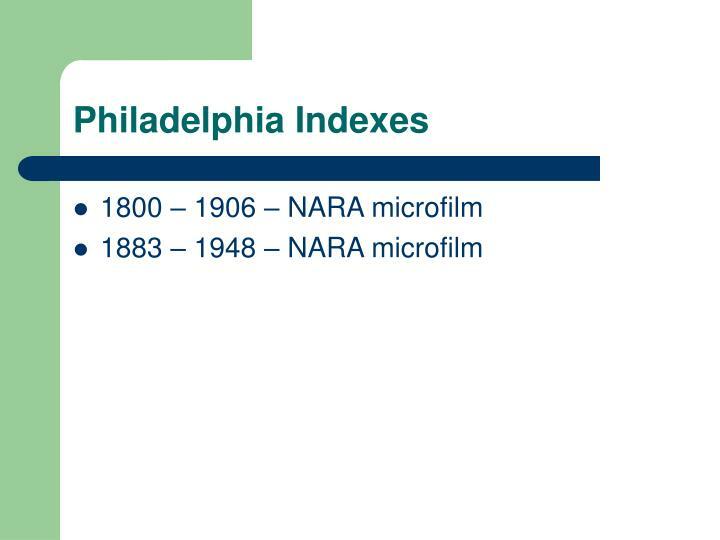 First search the most probable, then search the increasingly improbable. 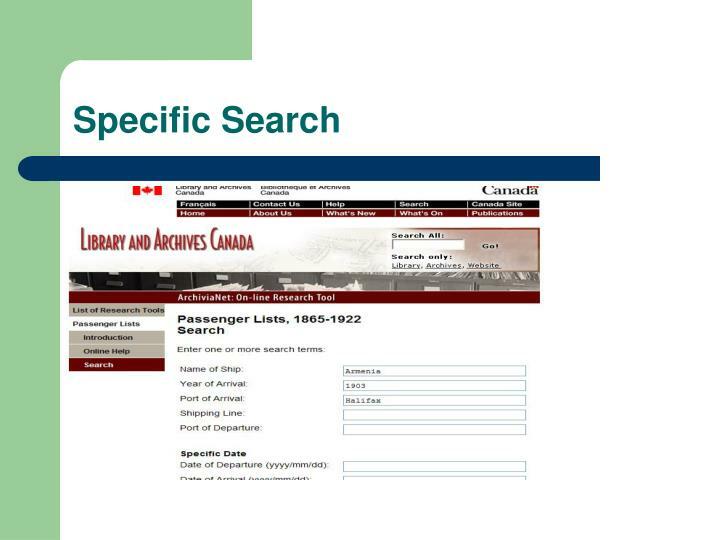 The Canadian immigration records from 1865 to 1922 have a very good search tool that can help us narrow the search. 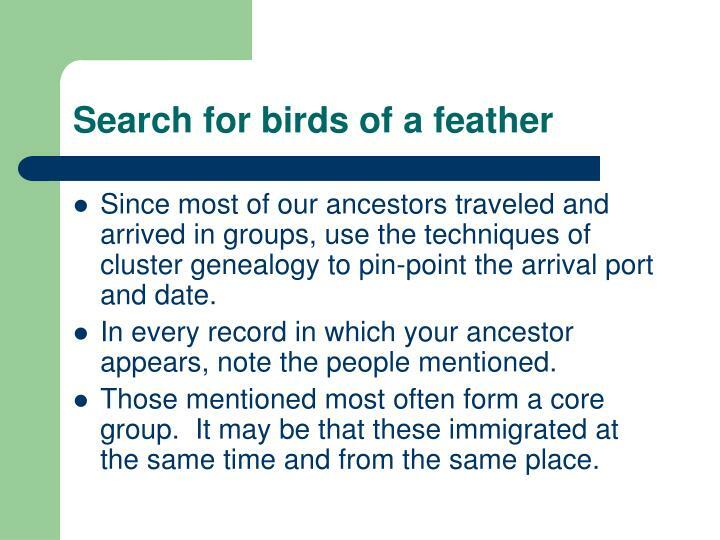 Since most of our ancestors traveled and arrived in groups, use the techniques of cluster genealogy to pin-point the arrival port and date. 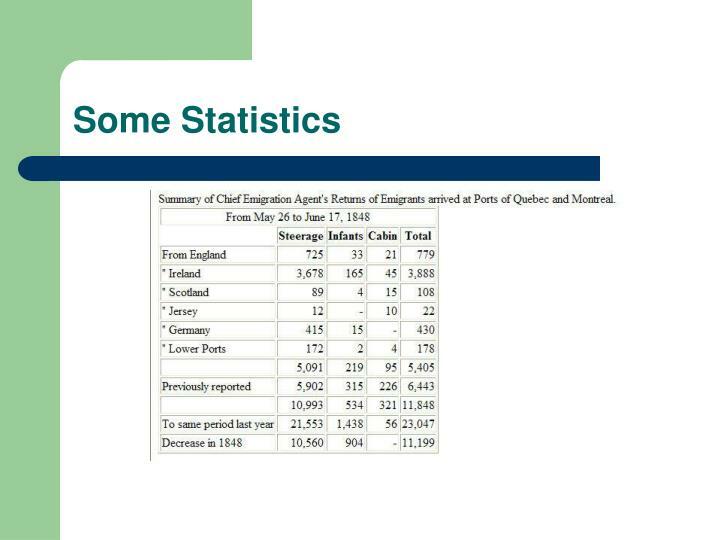 In every record in which your ancestor appears, note the people mentioned. 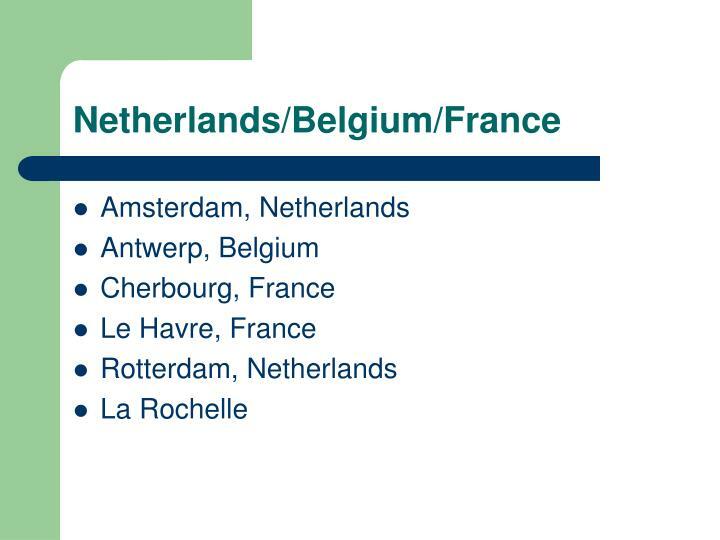 Those mentioned most often form a core group. 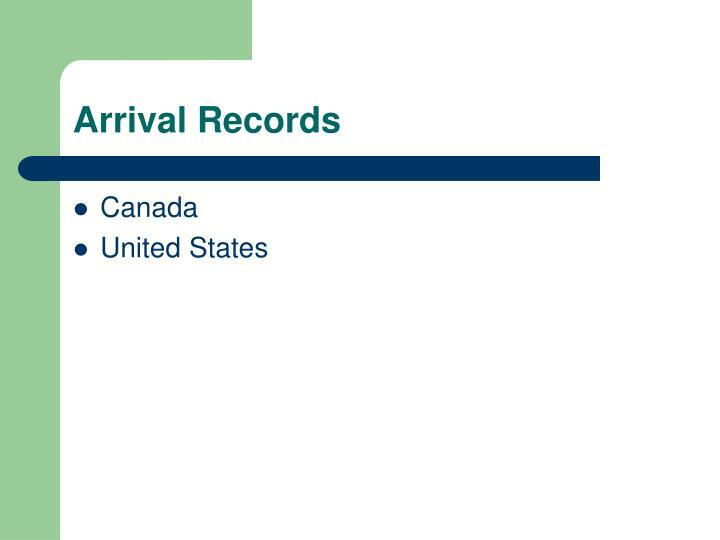 It may be that these immigrated at the same time and from the same place. 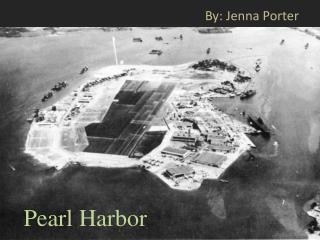 This is the strategy of last resort! 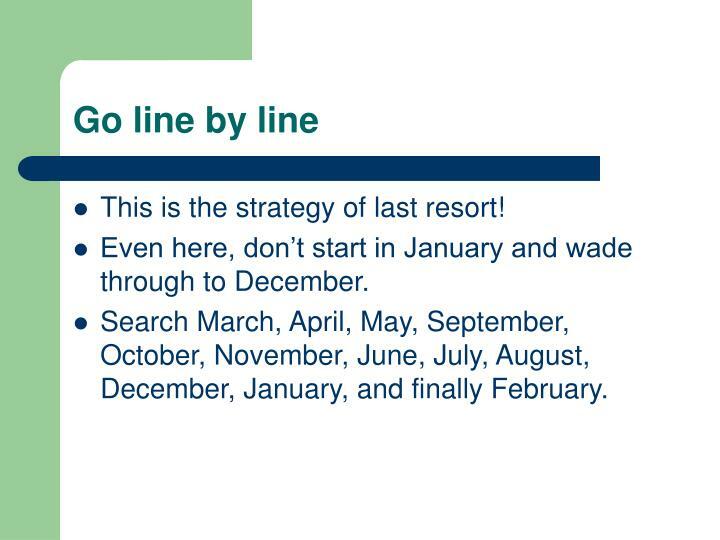 Even here, don’t start in January and wade through to December. Search March, April, May, September, October, November, June, July, August, December, January, and finally February. 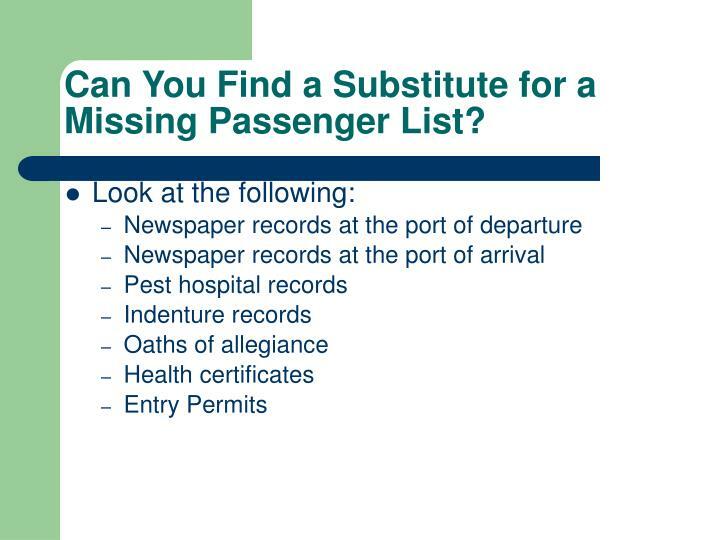 Can You Find a Substitute for a Missing Passenger List? 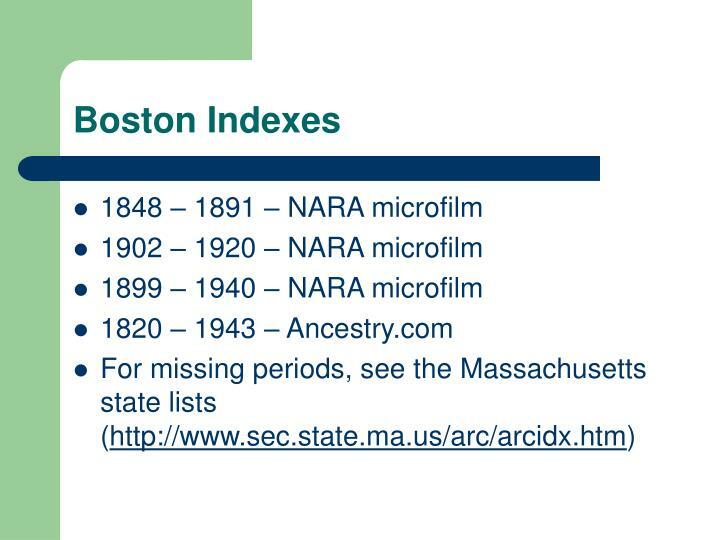 How Should an Index Be Used? 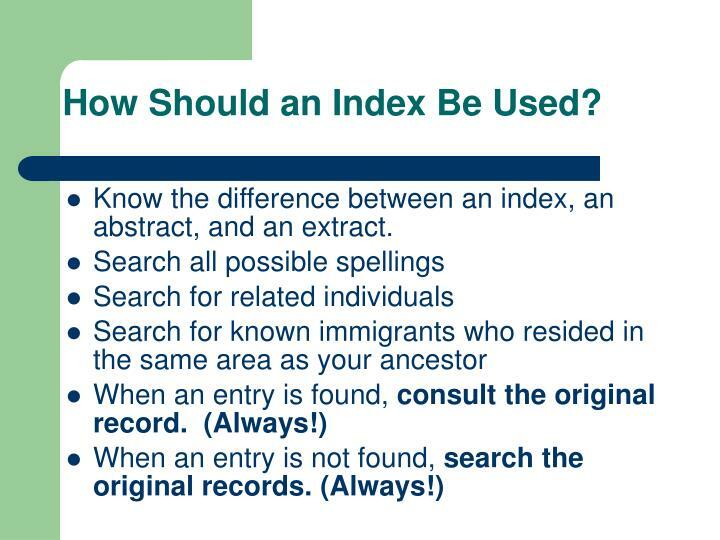 Know the difference between an index, an abstract, and an extract. 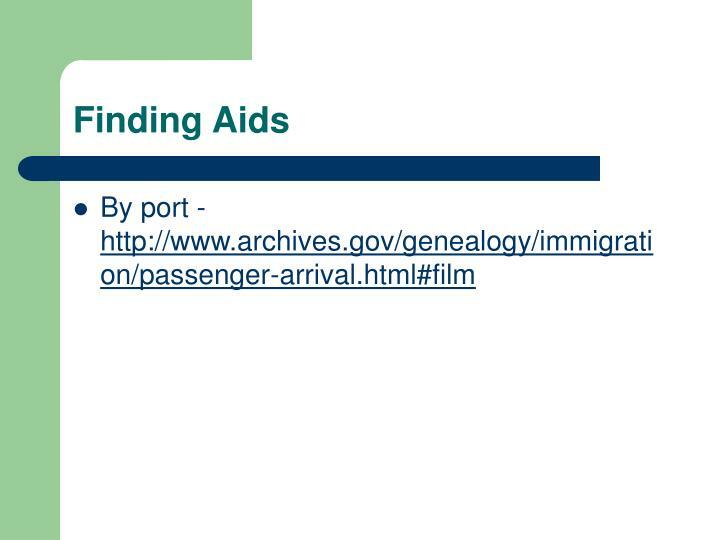 Finding aids give access to one portion of a group of records. 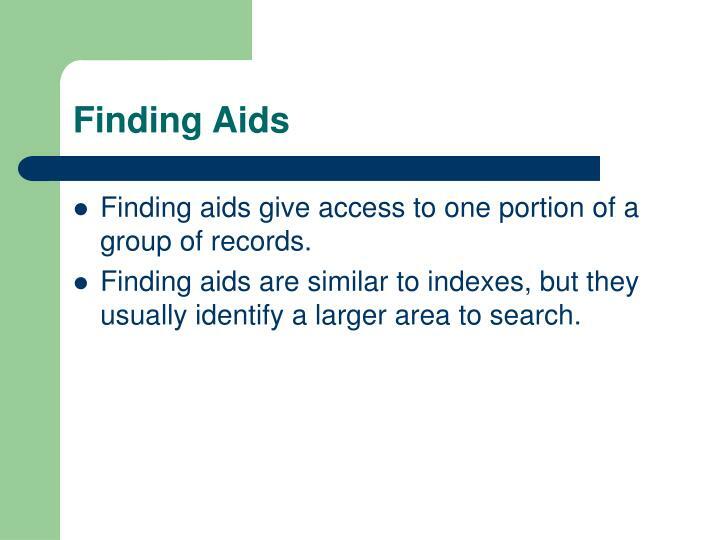 Finding aids are similar to indexes, but they usually identify a larger area to search. 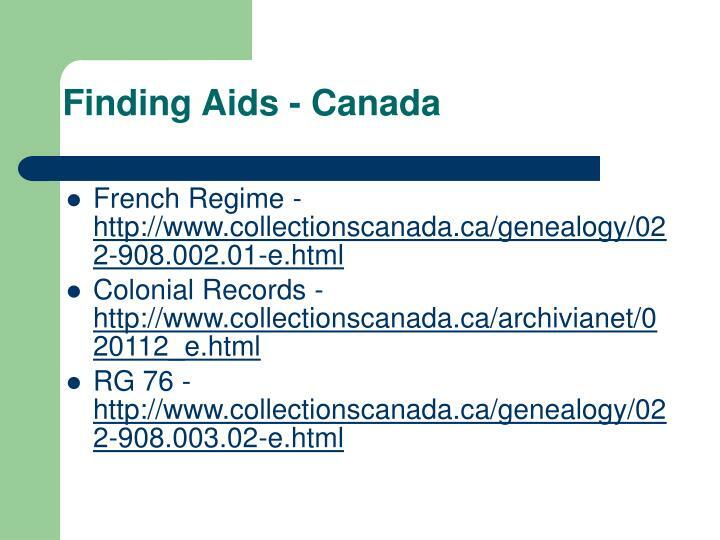 Know what information is absolutely required in order to use the finding aid. 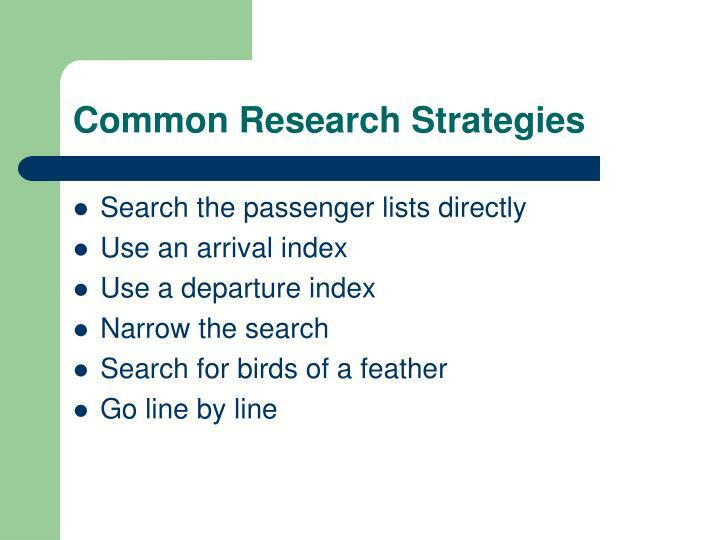 Identify a strategy to get the required information. 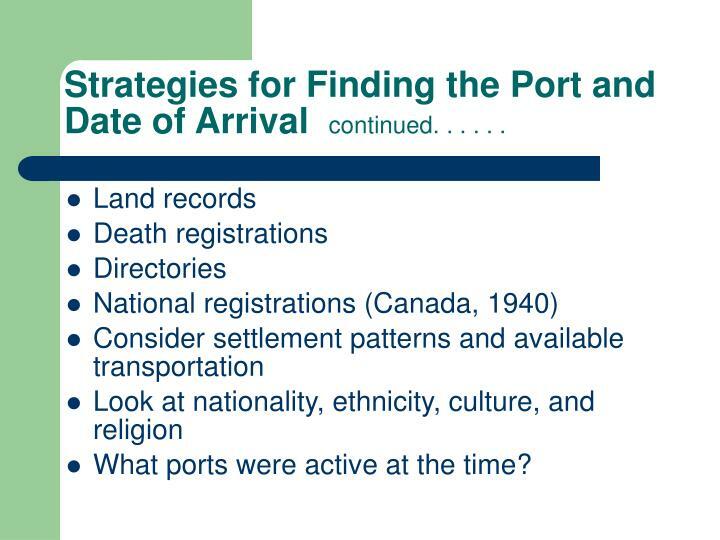 Strategies for Finding the Port and Date of Arrival continued. . . . . .
What ports were active at the time? When you find an individual, look to see who the traveling companions are. 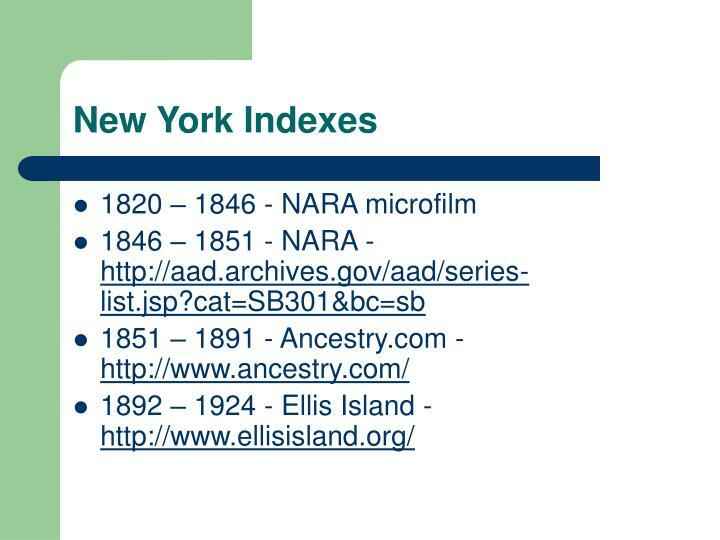 Be aware of the provenance of the record or index you are using. 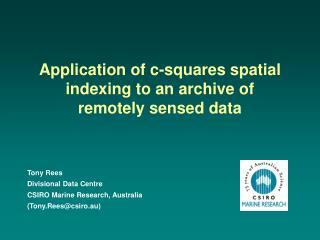 Immediately create a source citation. 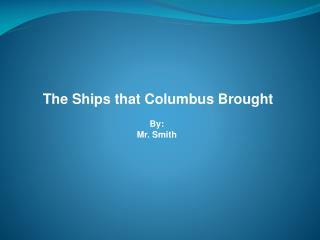 SHIPS (VESSELS) Kpt. 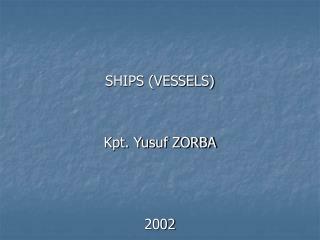 Yusuf ZORBA 2002 -Ships (vessels) kpt. 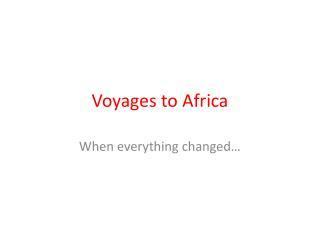 yusuf zorba 2002. warships. 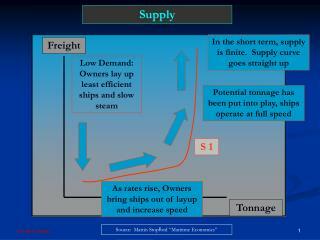 merchant vessel. yachts. 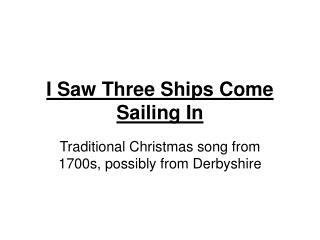 ships. cargo. auxilary. fishing. 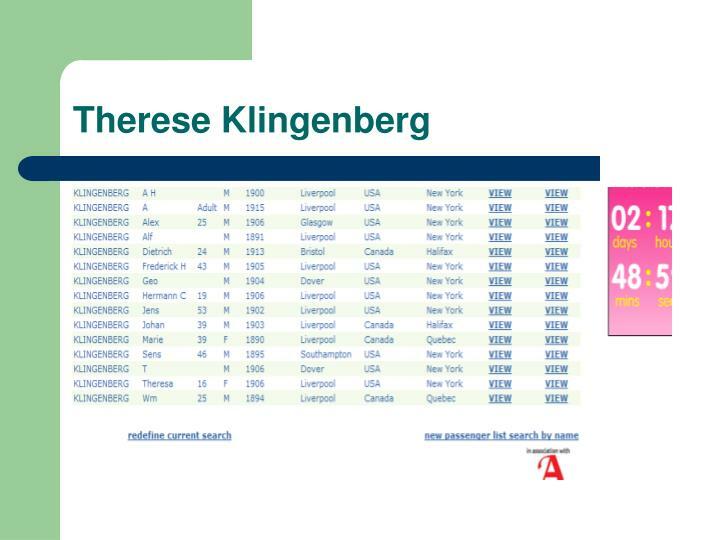 passanger. tugs. obo. ice breakers. ro-ro. bulk carrier. rescue ship. light ship. 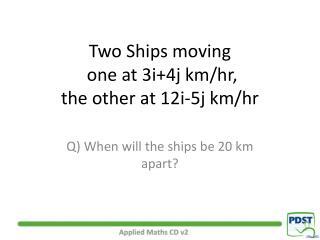 Two Ships moving one at 3i+4j km/hr, the other at 12i-5j km/hr -. 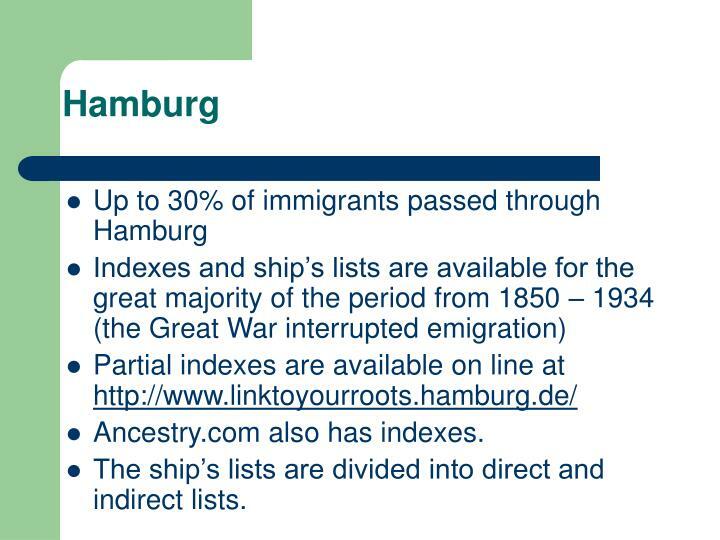 q) when will the ships be 20 km apart?. 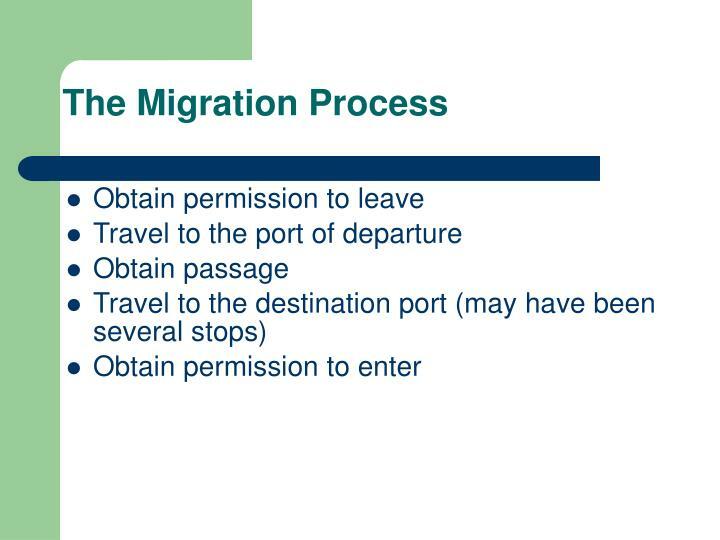 step 1: draw a diagram. 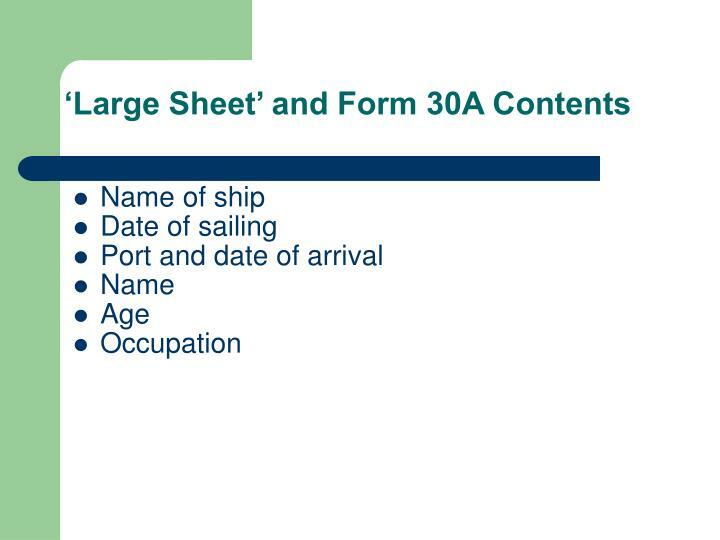 ship a. 3i+4j. 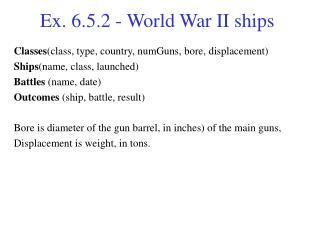 ship b. 12i-5j. after 1 hour, mark their positions. 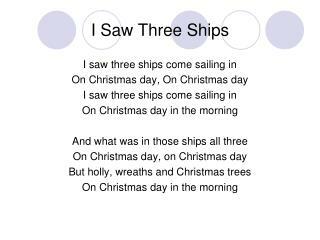 ship a. 3i+4j. 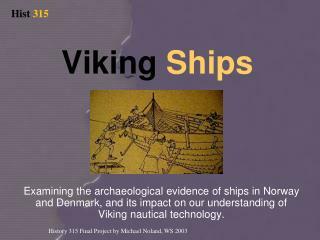 ship b. 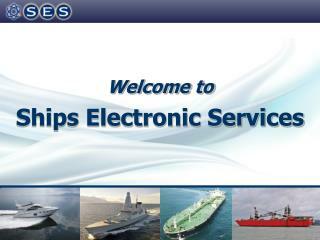 Welcome to Ships Electronic Services -Welcome to ships electronic services. 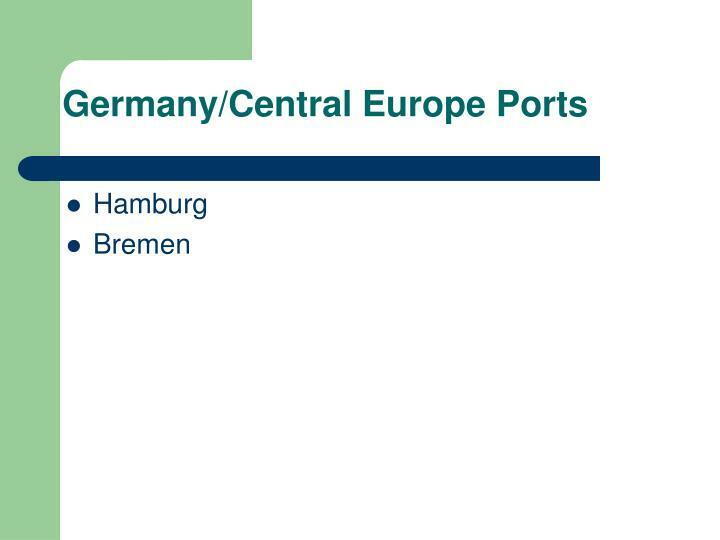 ships electronic services. established in 1974 32 employees at 6 establishments in uk. 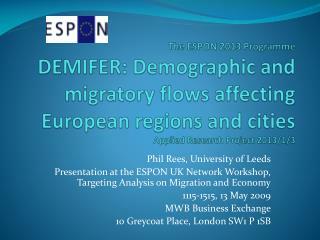 an annual turnover of £5.5m. 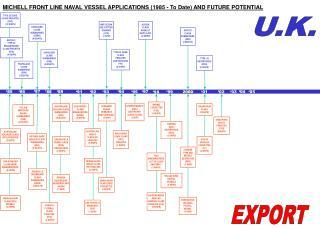 specialists in the marine industry. 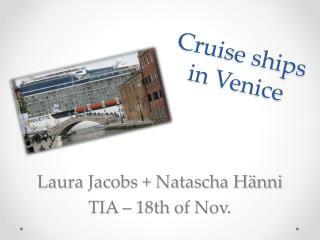 Cruise ships in Venice -Laura jacobs + natascha hänni tia – 18th of nov. cruise ships in venice. 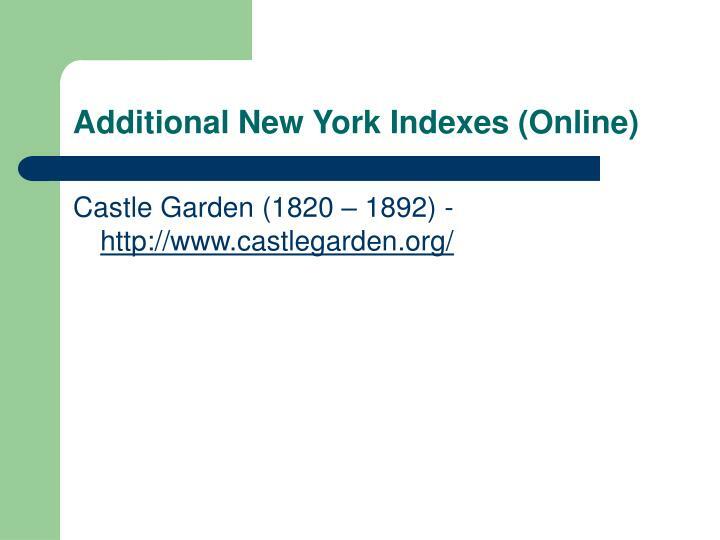 index. 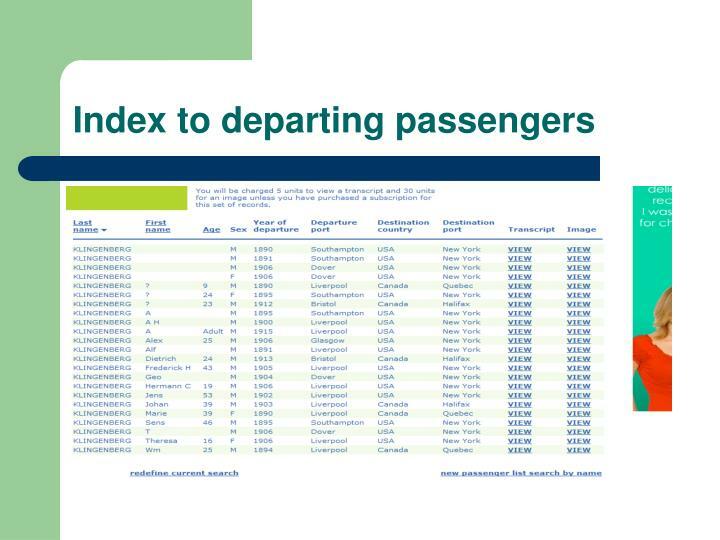 overview : venice + venice port problem: are cruise ships killing venice? 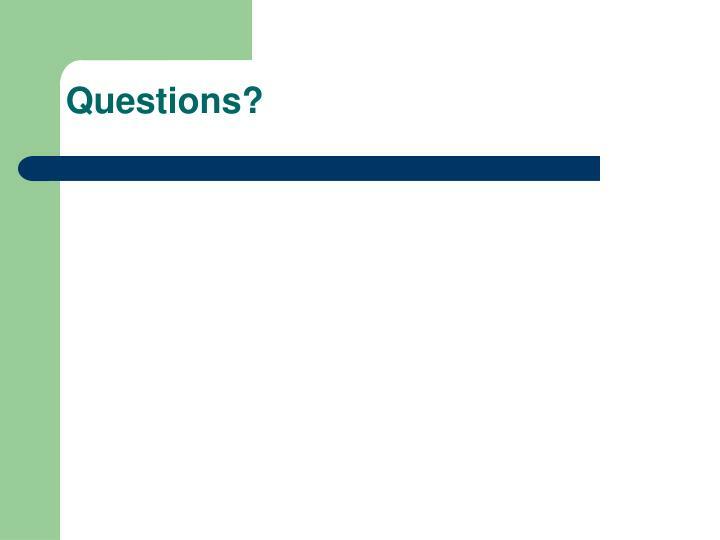 impacts on tourism recommendations conclusion sources. 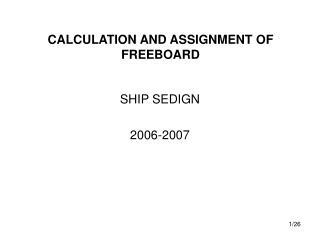 FRENCH FLOREAL CLASS FRIGATES (FFG) (6 SHIPS) -Vanguard class submarines (ssbn) (4 boats). albion class assault ships (lpd) (2 ships). hms ocean helicopter carrier (lph) (1 ship). type 23 duke class frigates continuation ffg (4 ships).